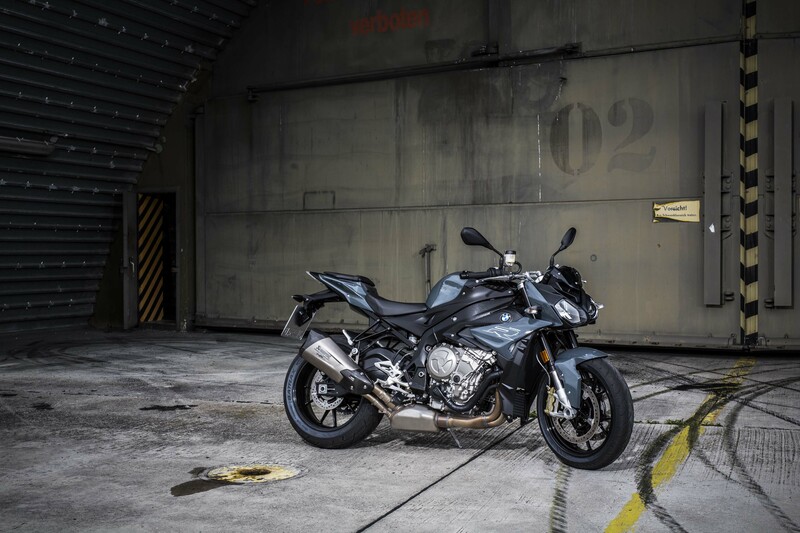 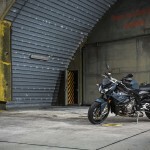 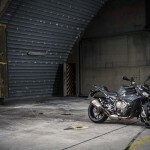 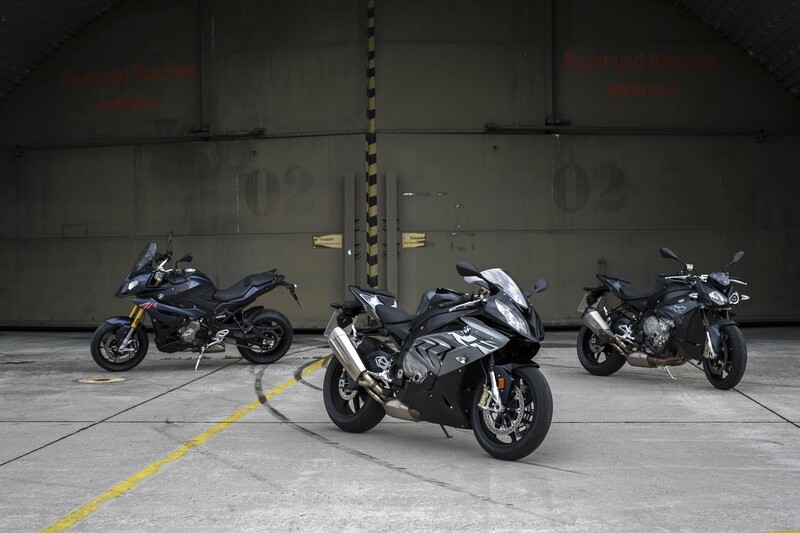 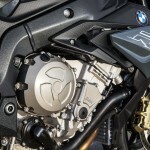 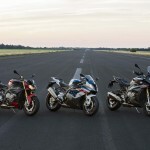 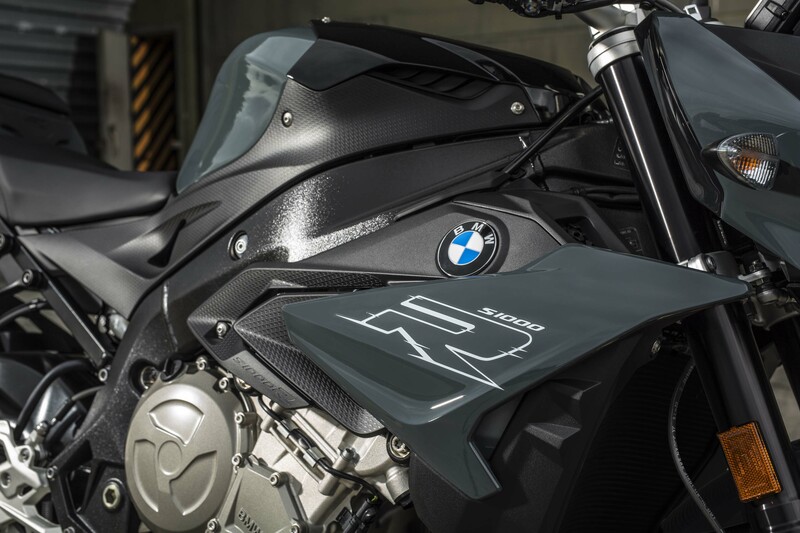 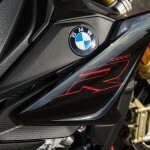 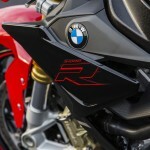 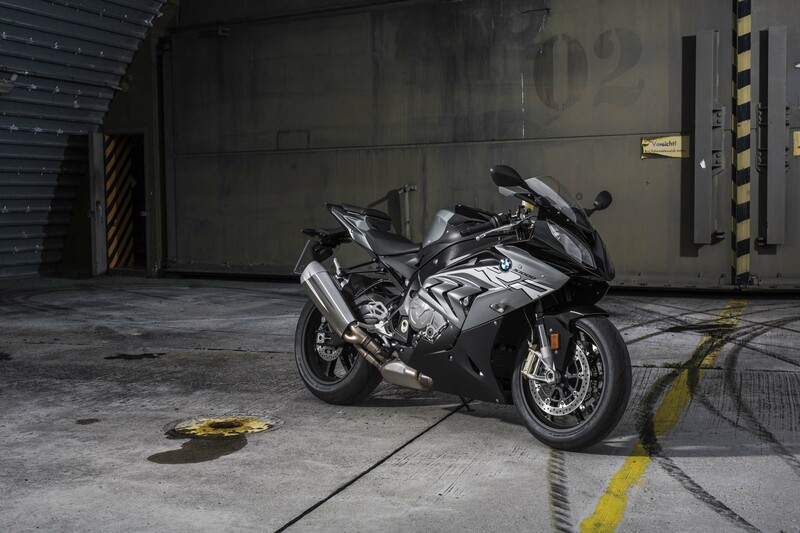 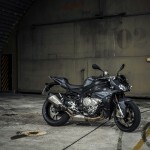 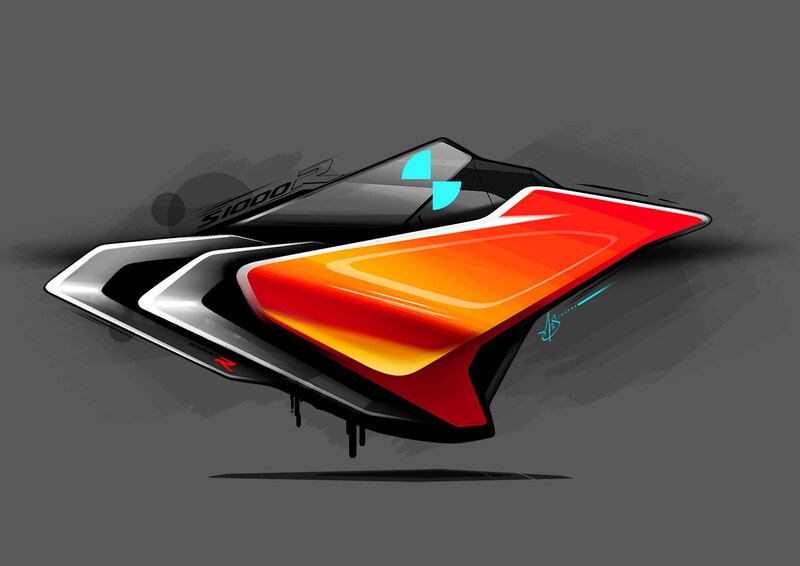 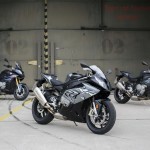 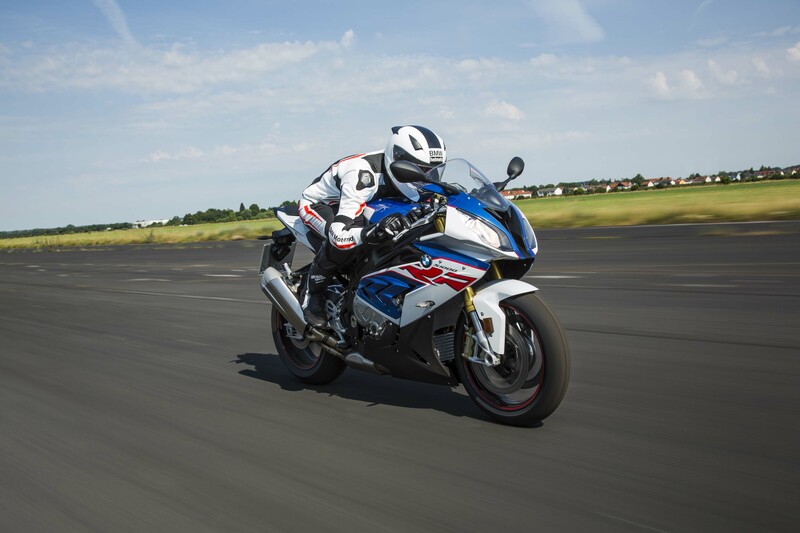 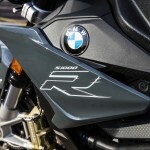 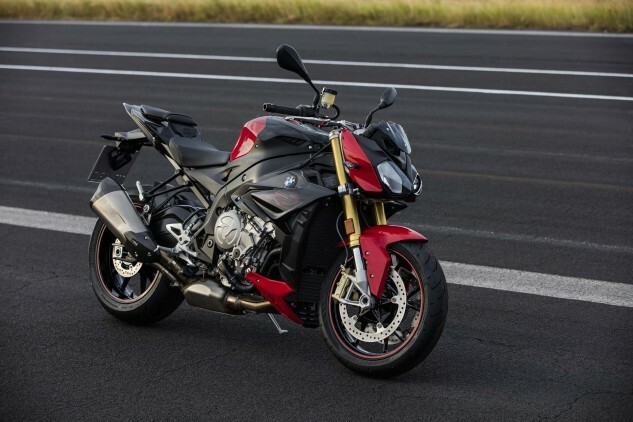 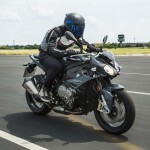 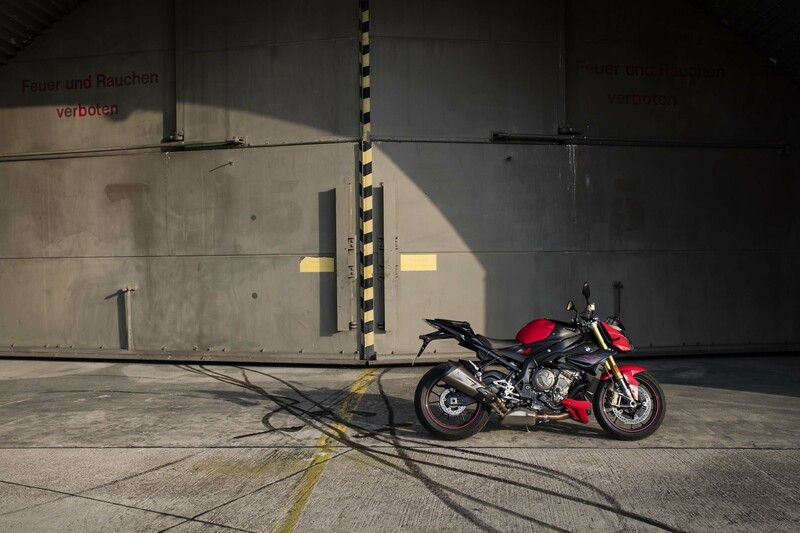 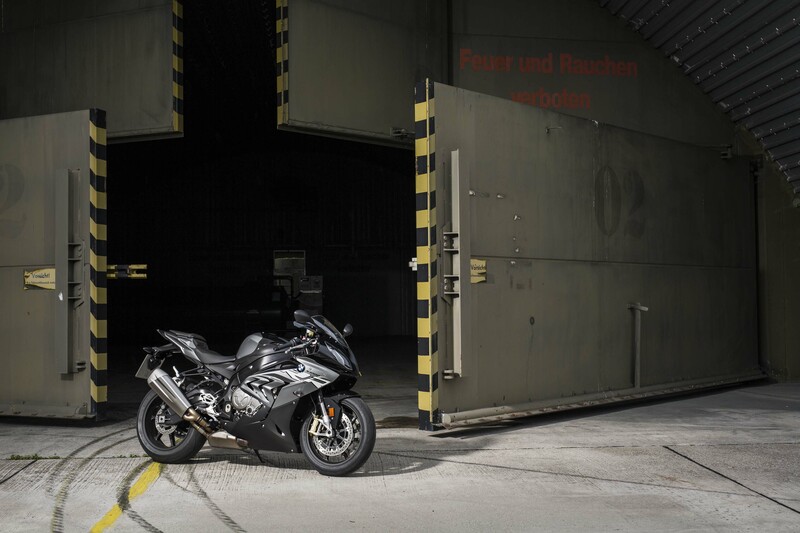 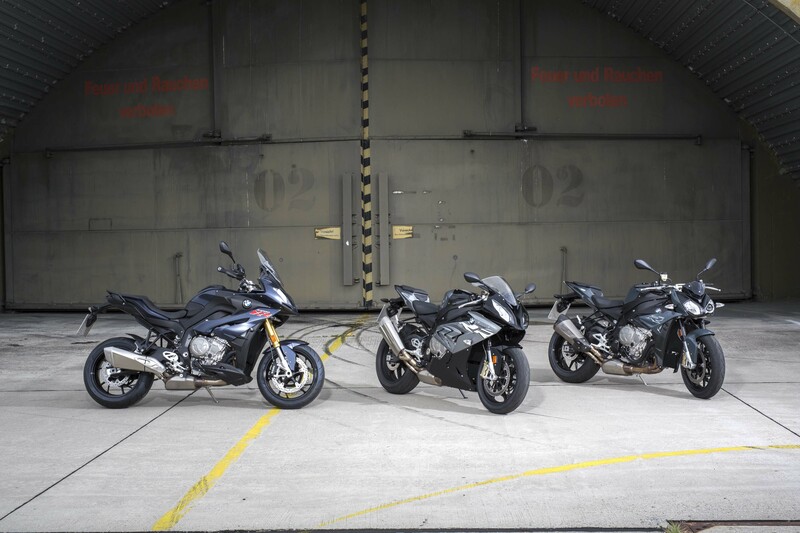 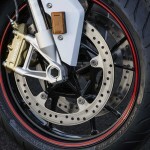 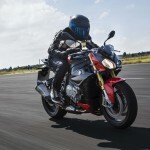 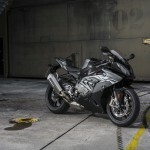 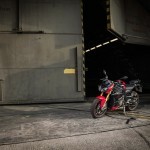 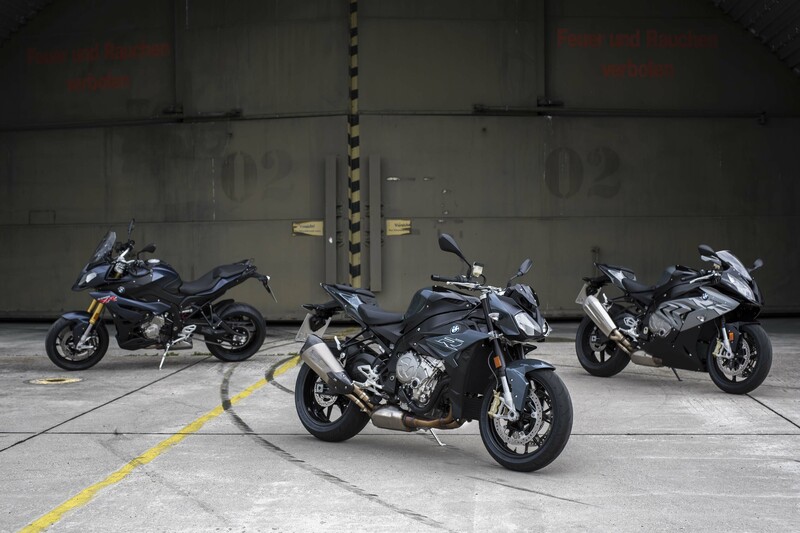 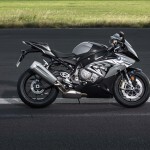 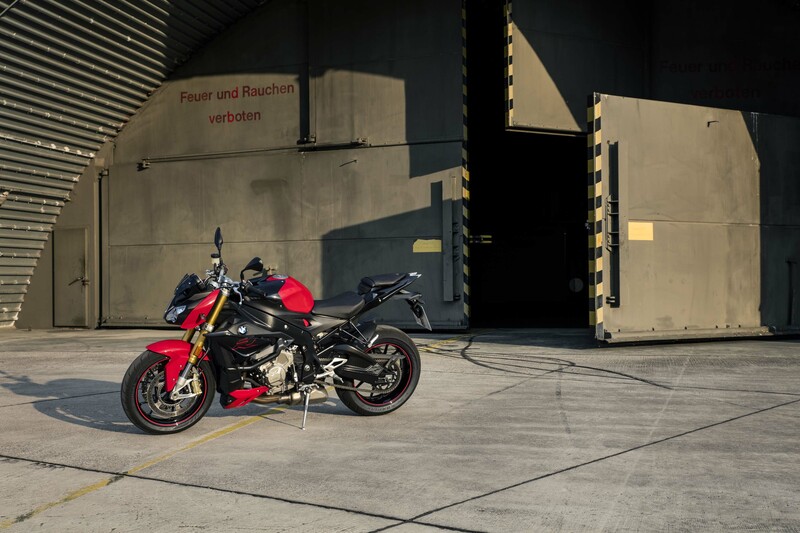 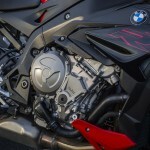 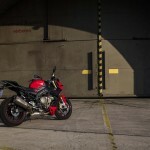 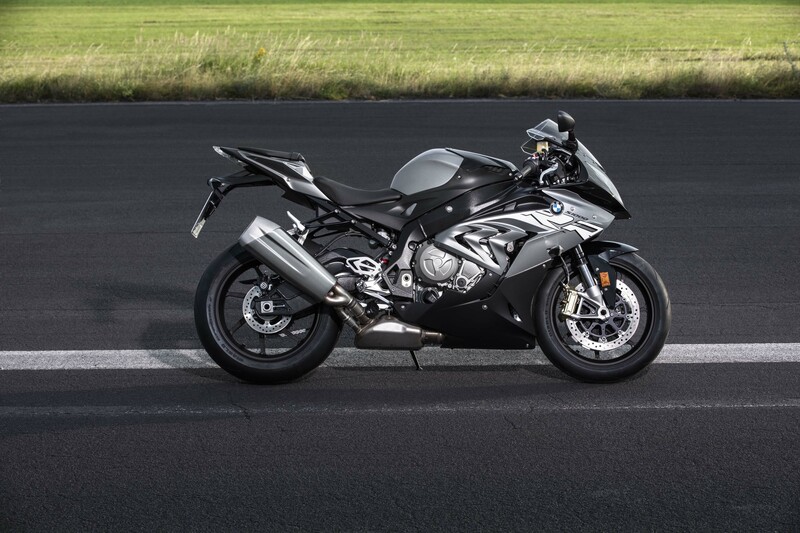 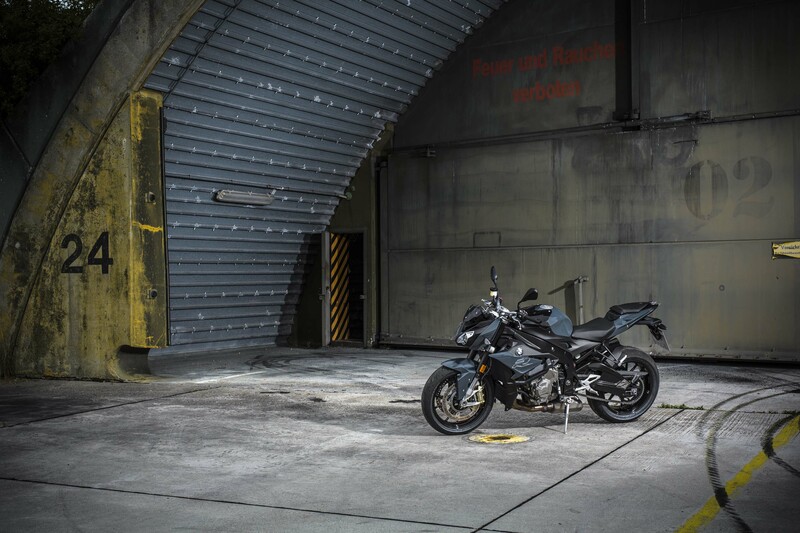 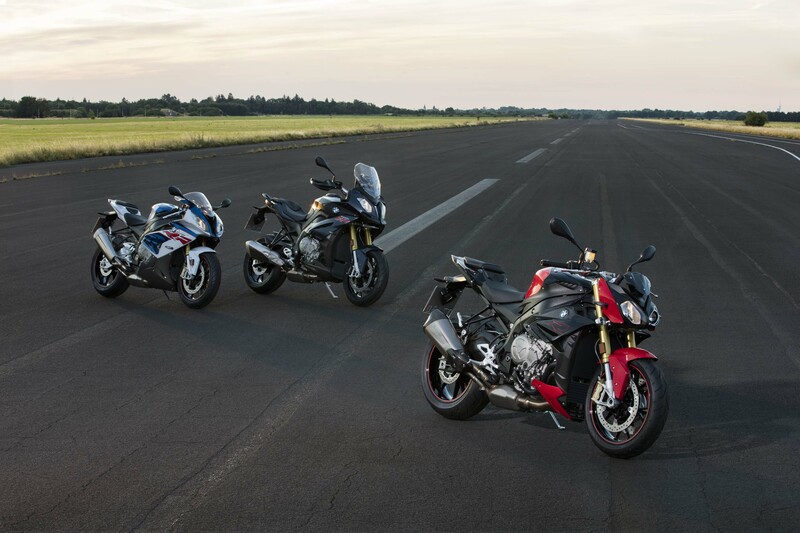 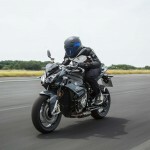 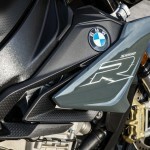 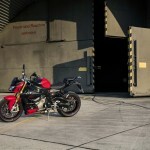 BMW revealed an updated four-cylinder lineup at Intermot, announcing minor changes for the S1000RR sportbike and adventure-styled S1000XR and some more substantial changes to the S1000R streetfighter. 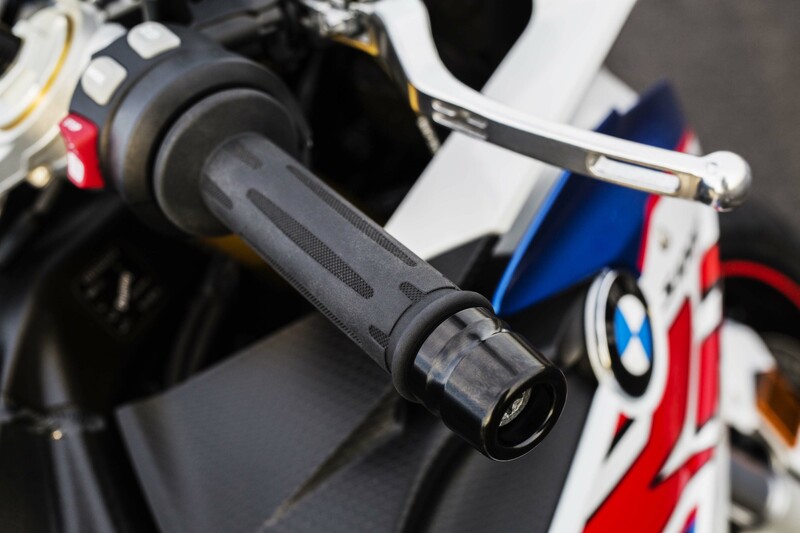 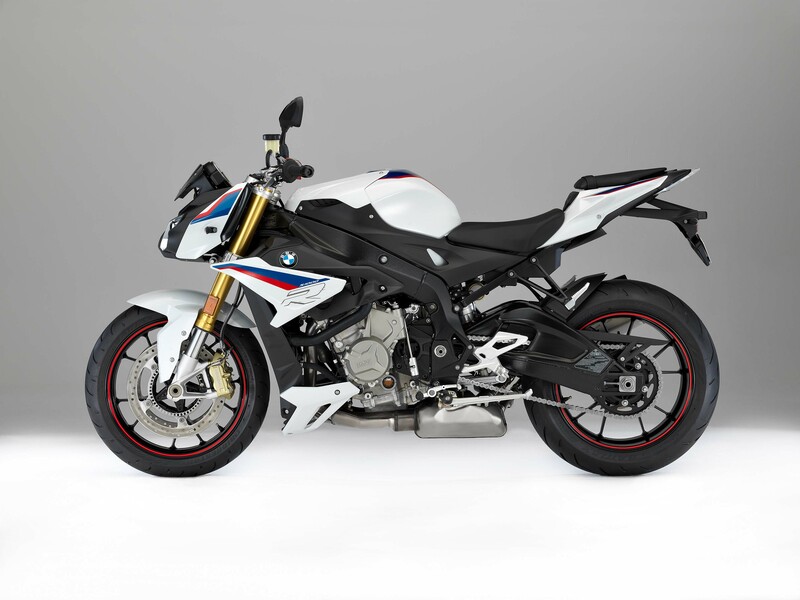 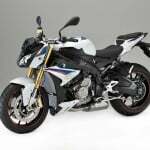 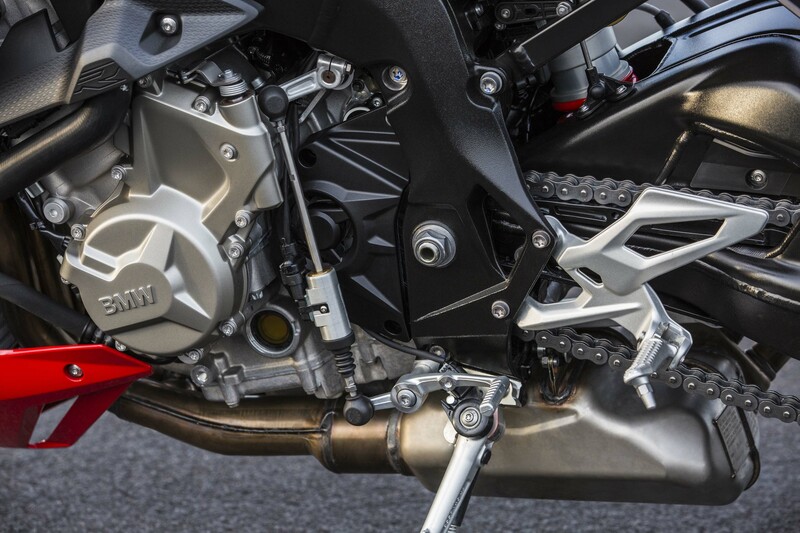 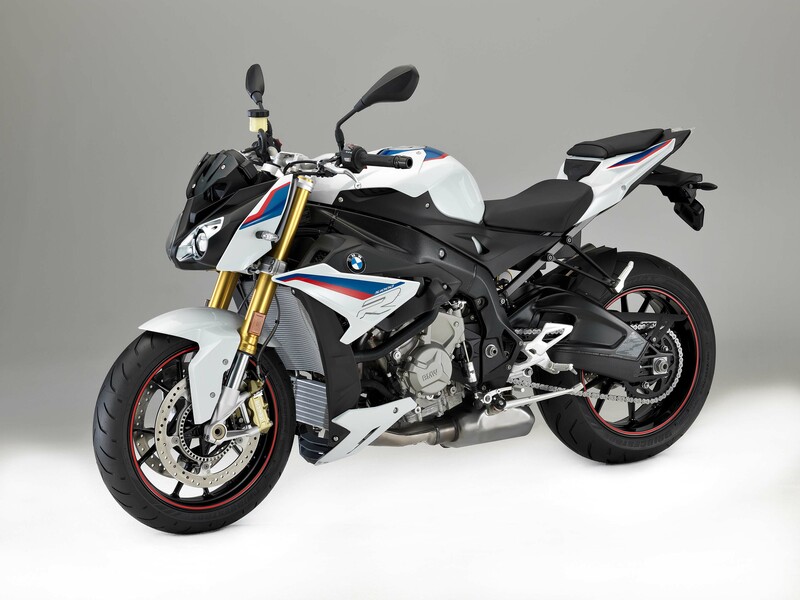 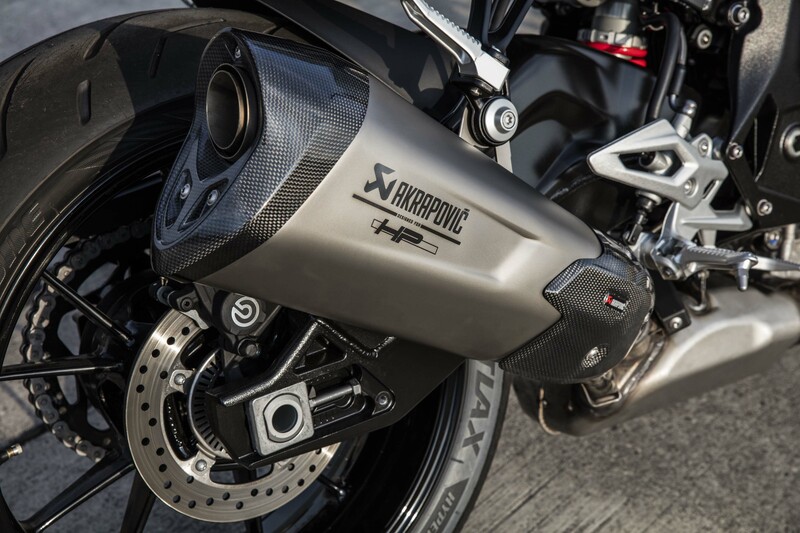 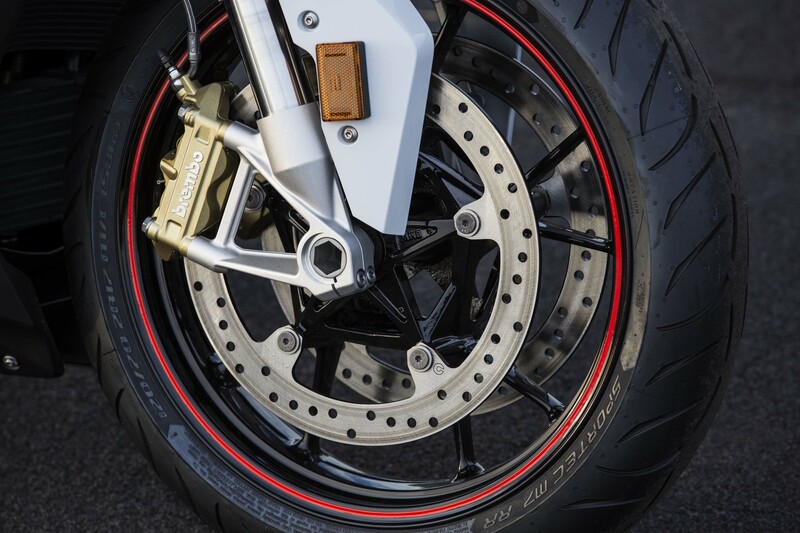 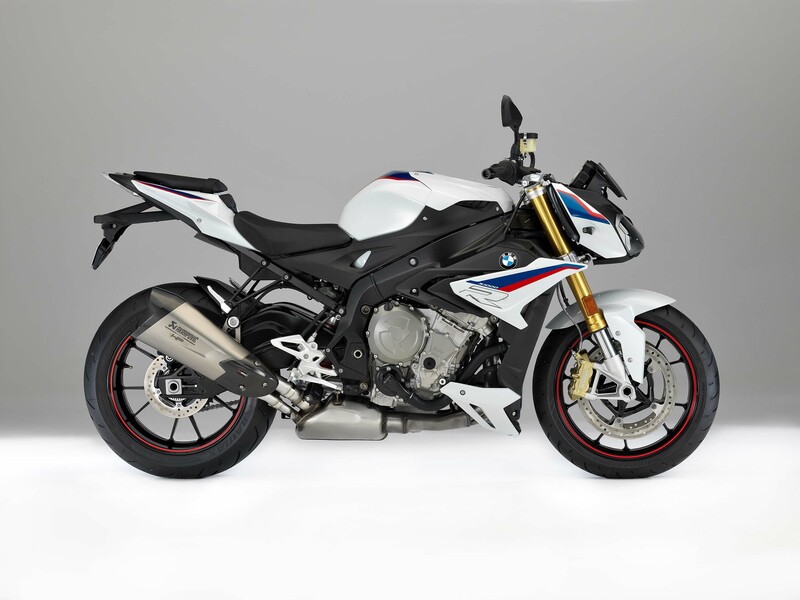 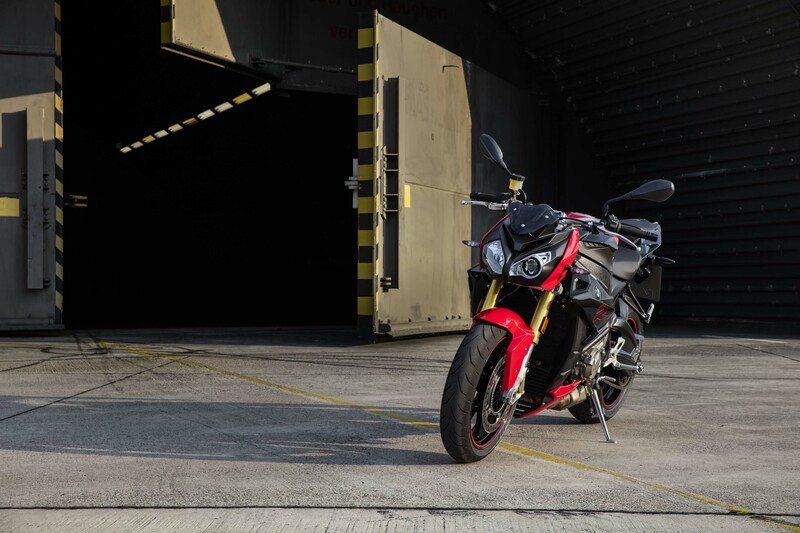 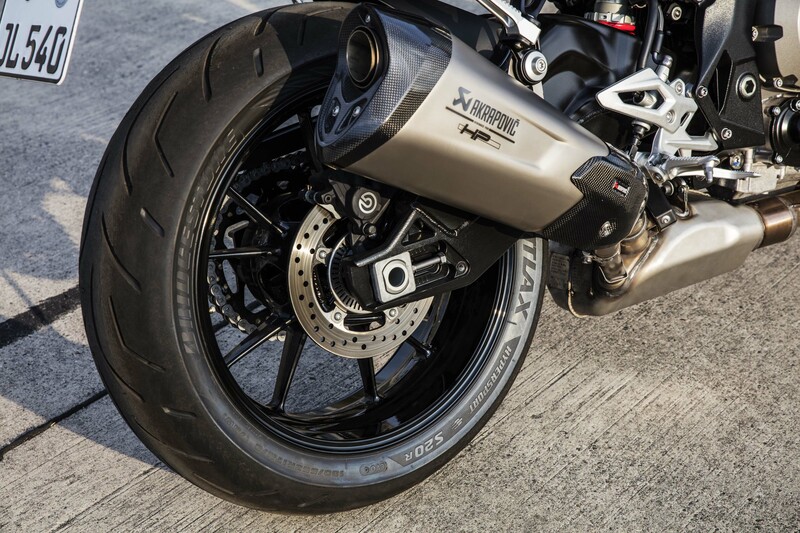 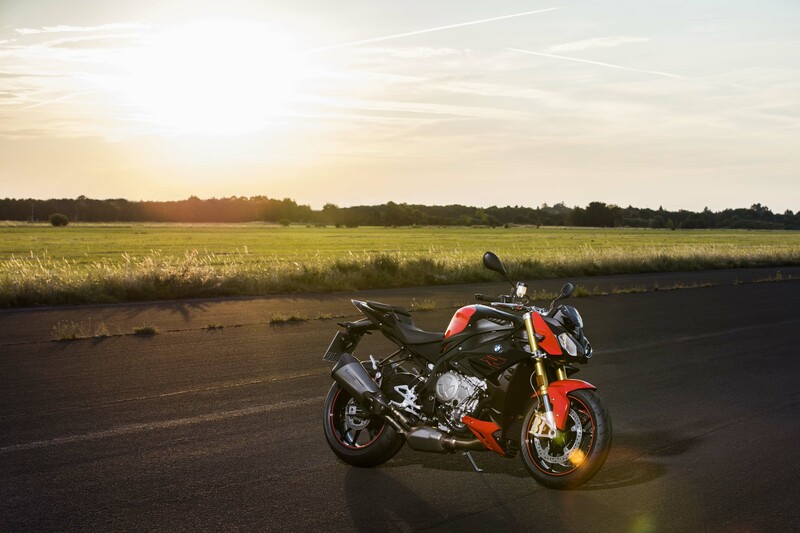 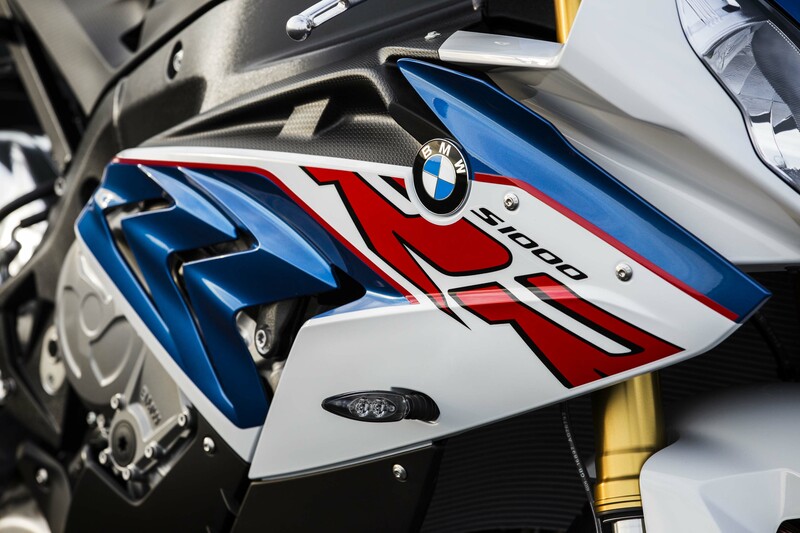 For the most part, the changes were made to comply with Euro 4 regulations but we are glad to see a power increase to the S1000R and S1000XR and some formerly optional equipment become standard issue for 2017. 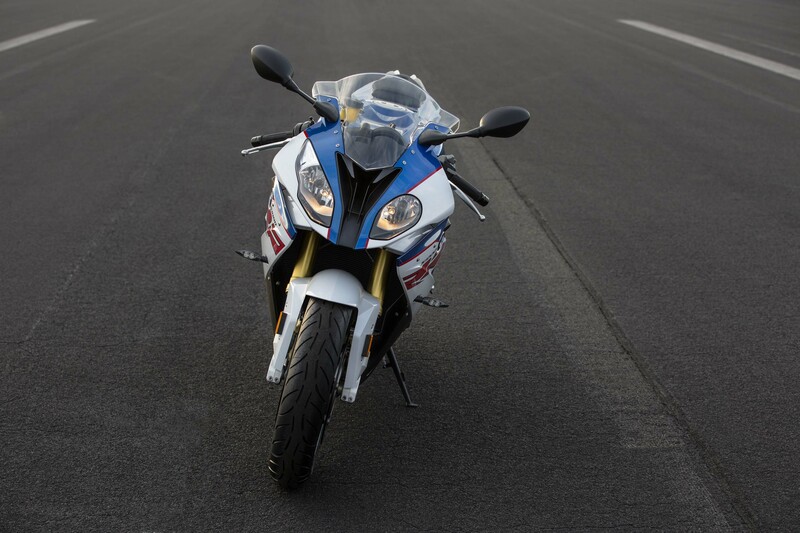 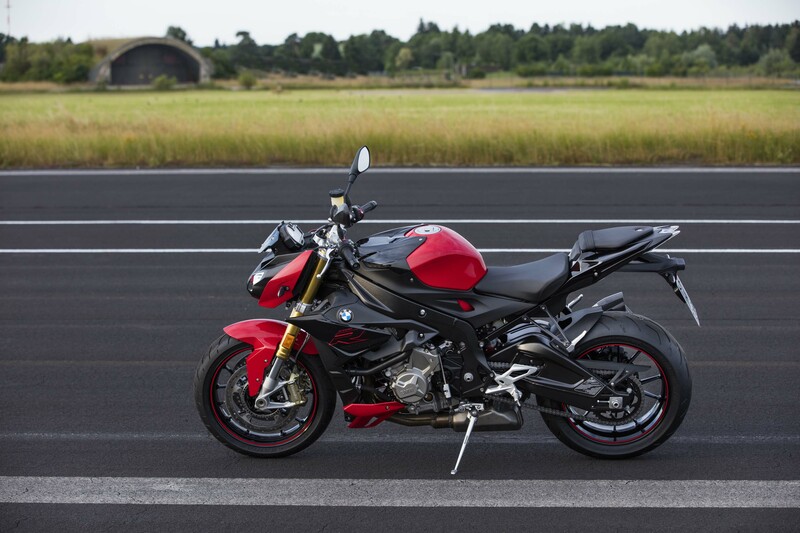 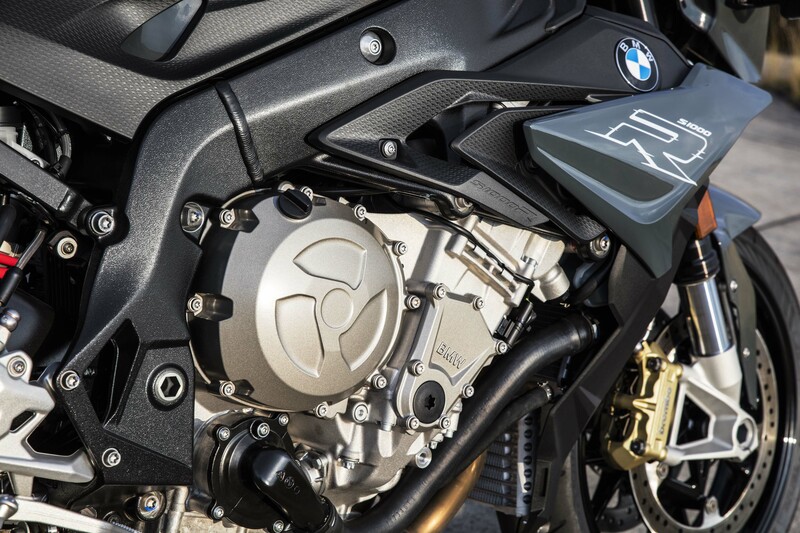 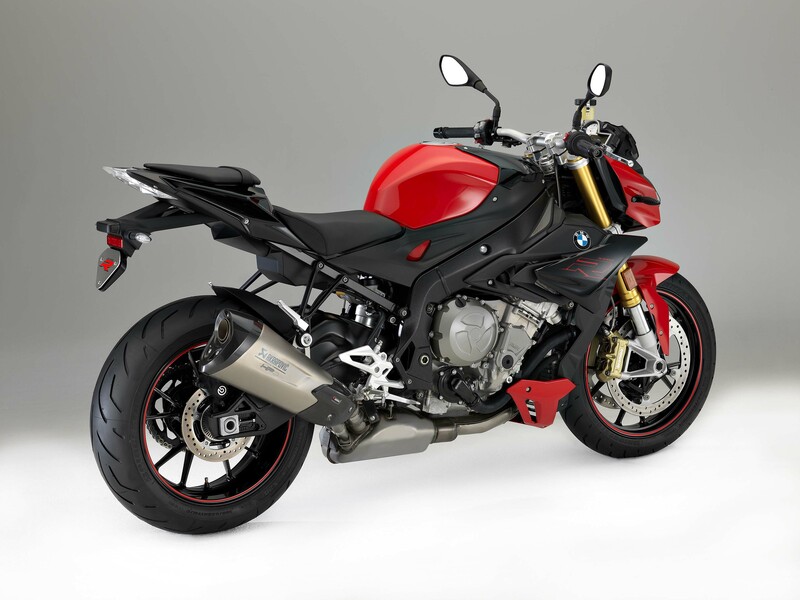 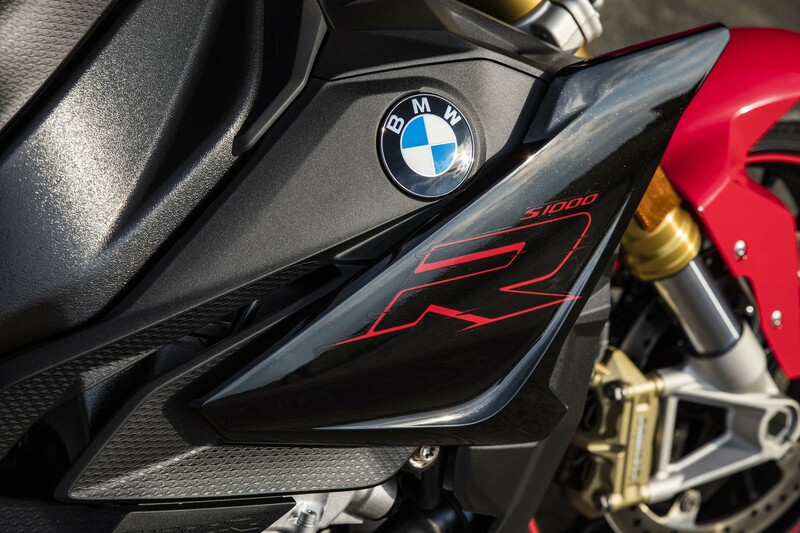 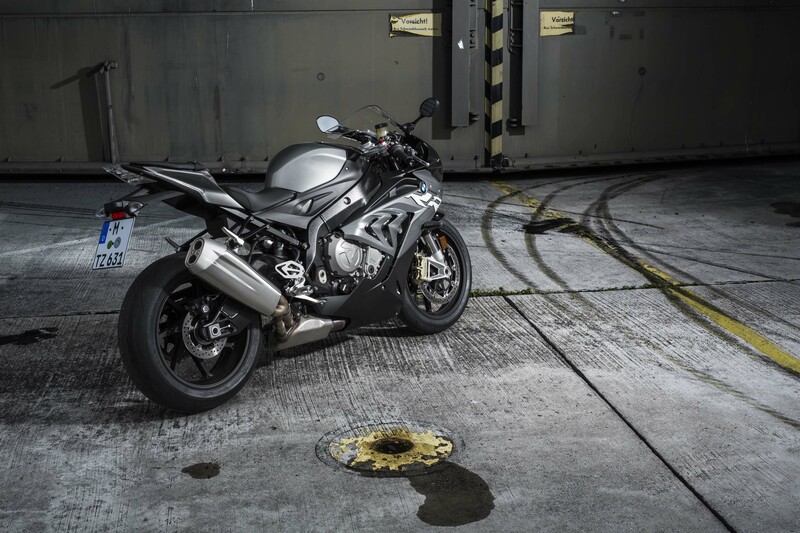 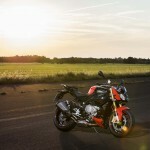 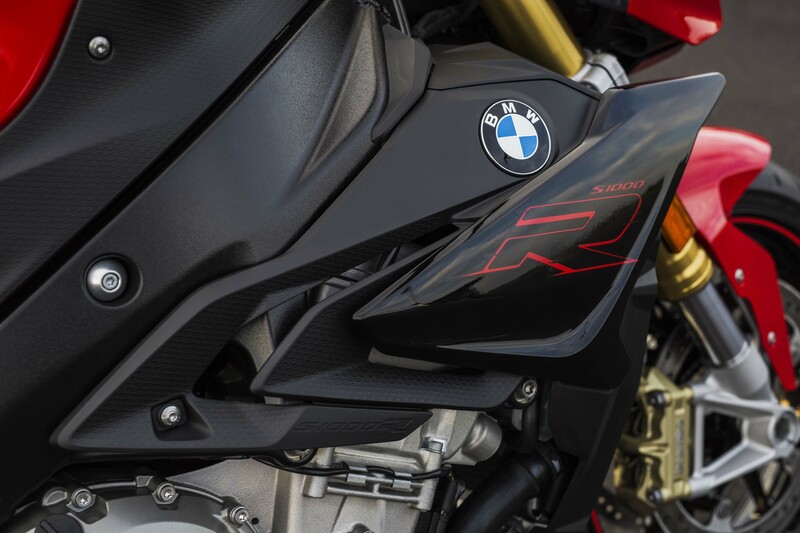 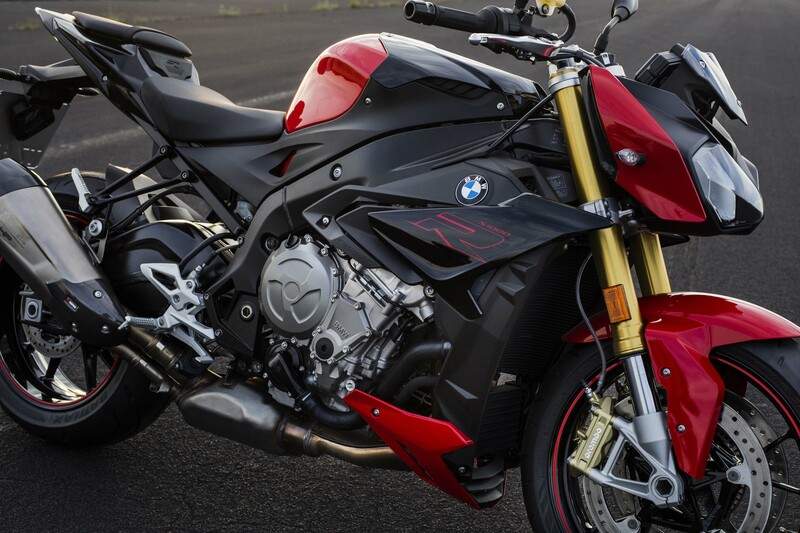 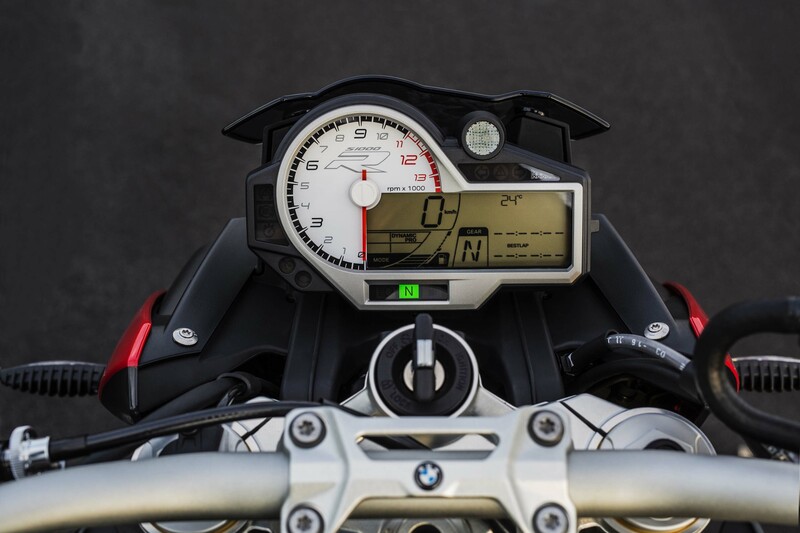 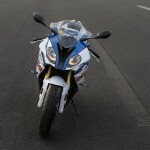 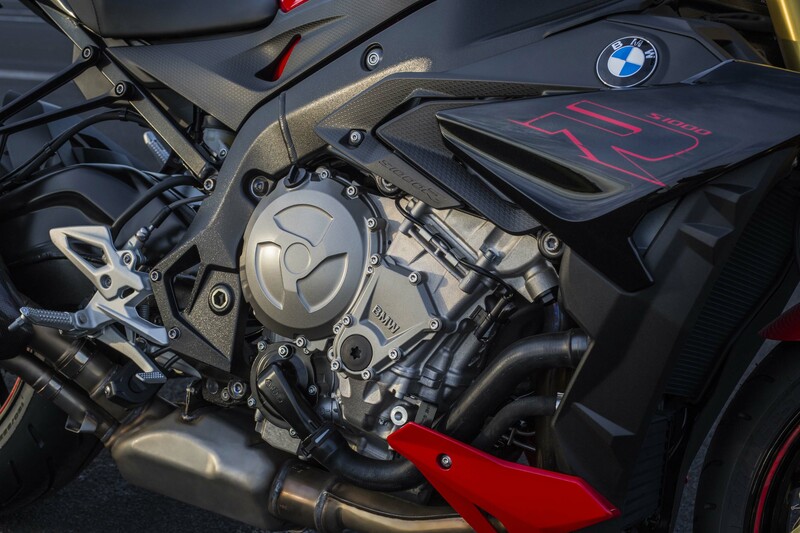 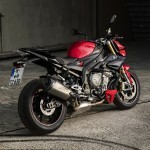 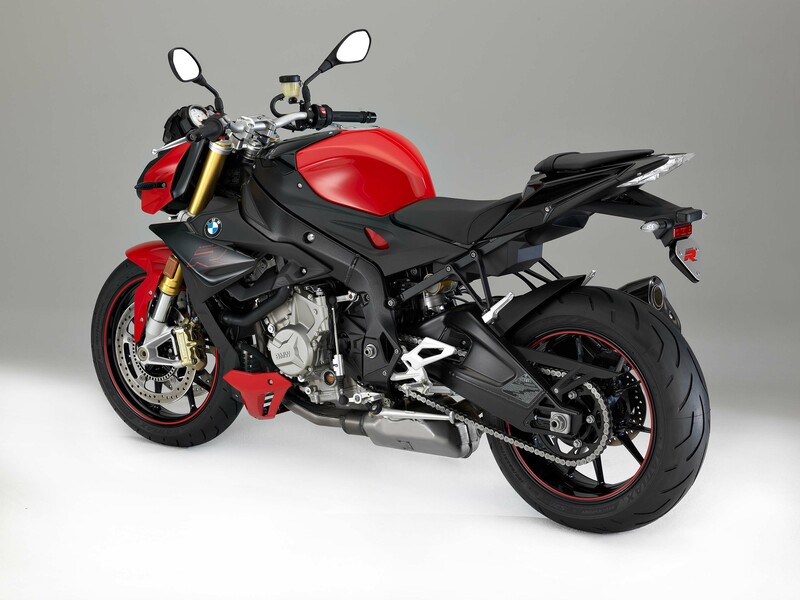 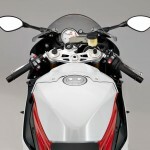 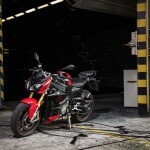 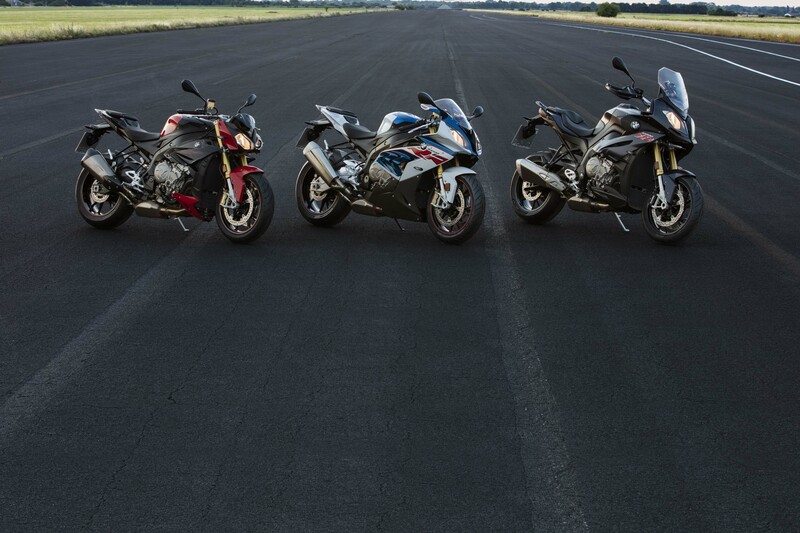 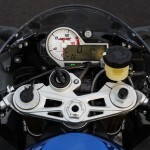 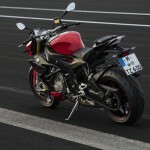 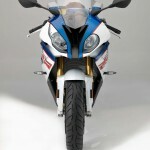 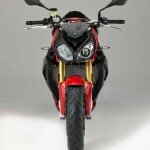 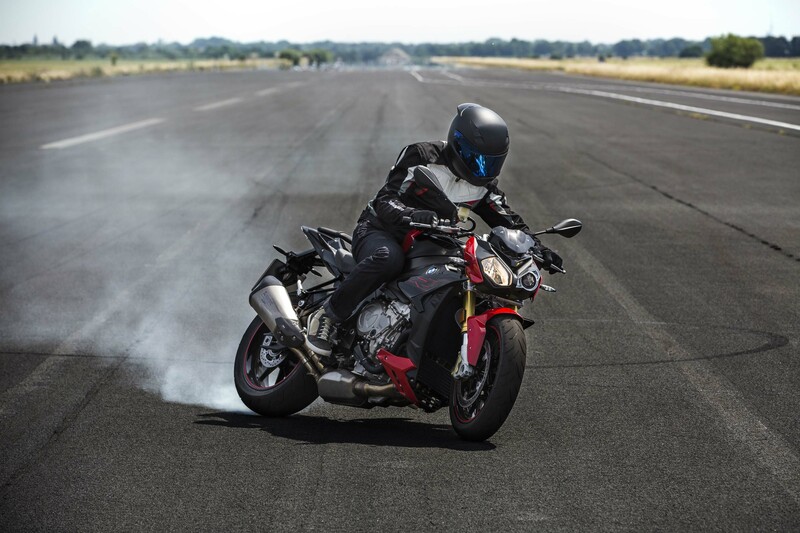 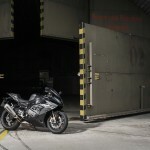 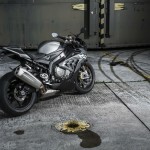 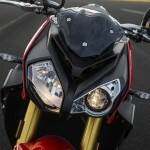 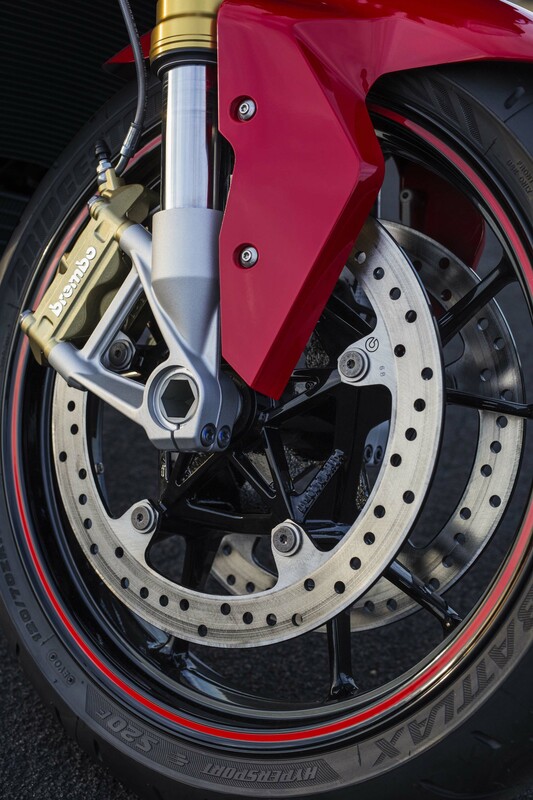 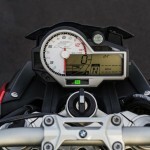 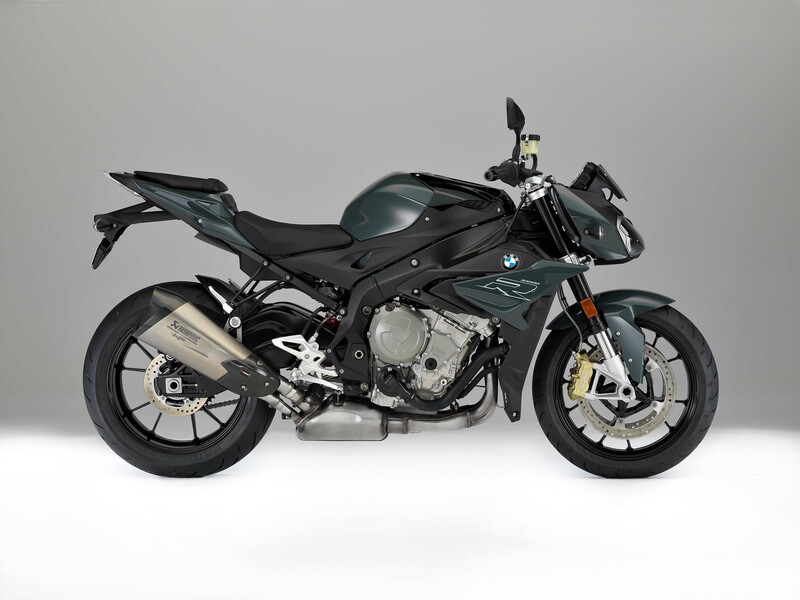 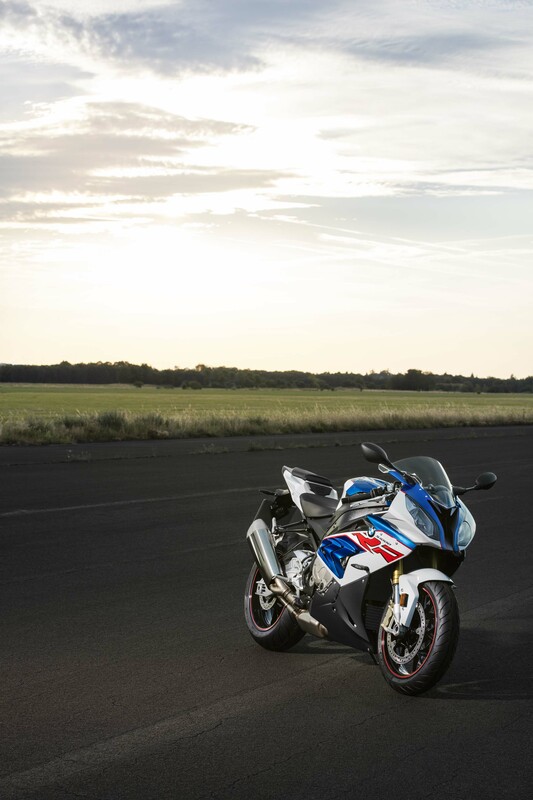 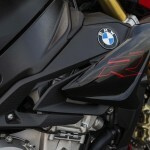 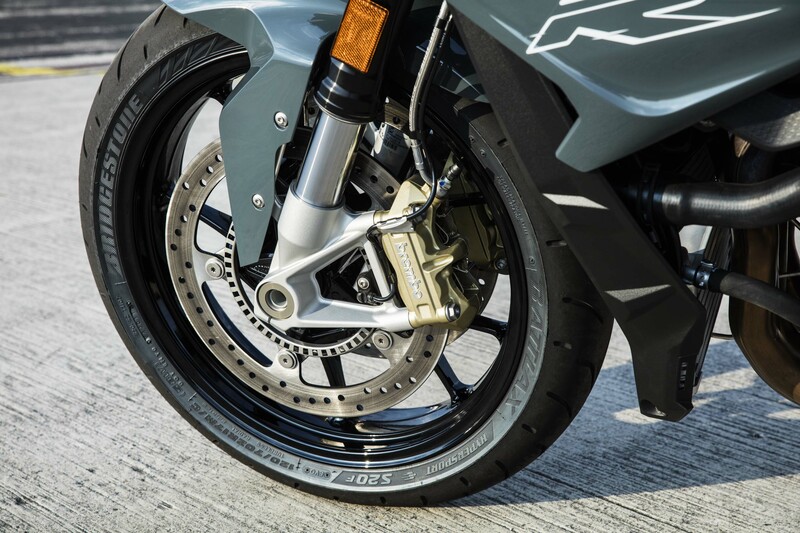 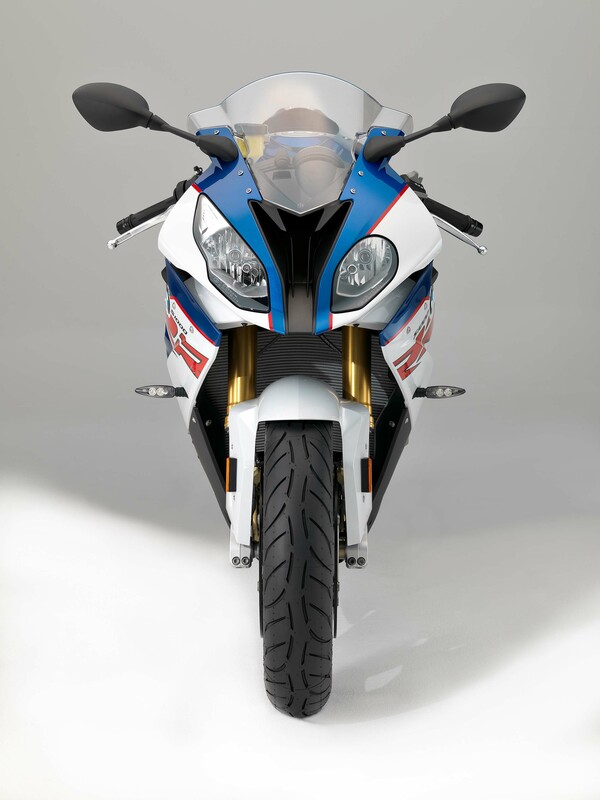 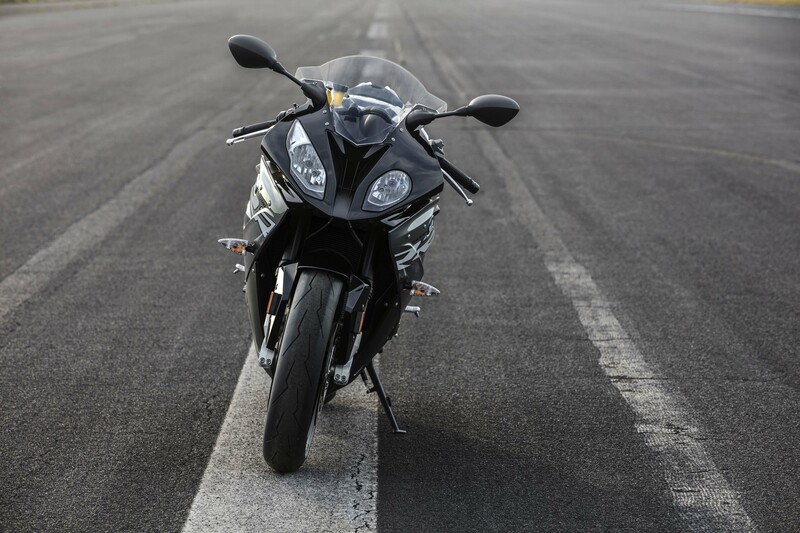 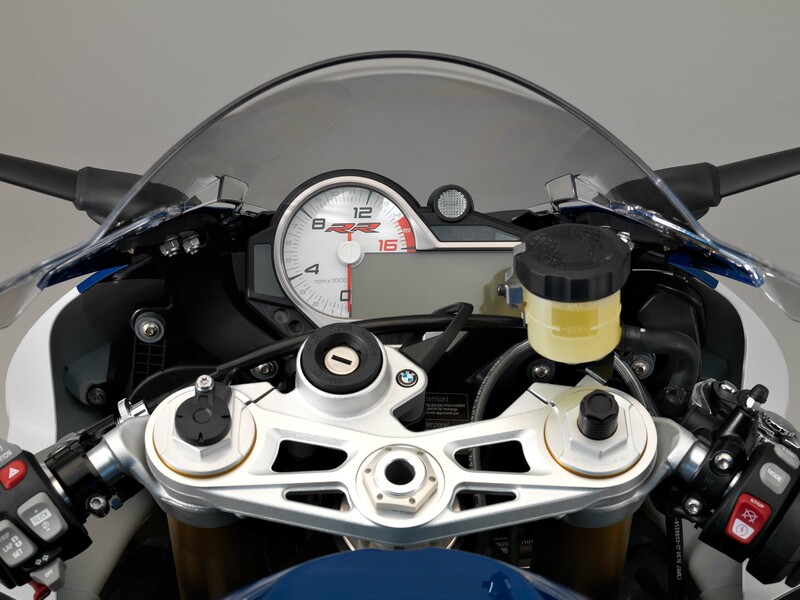 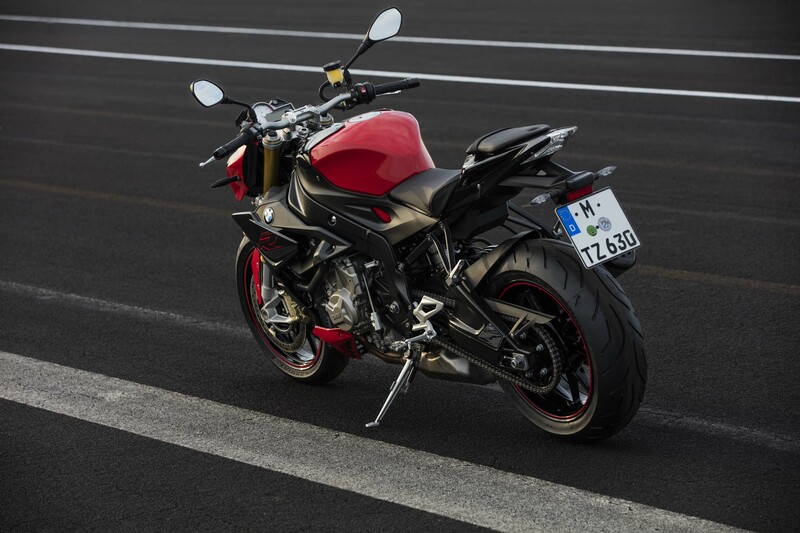 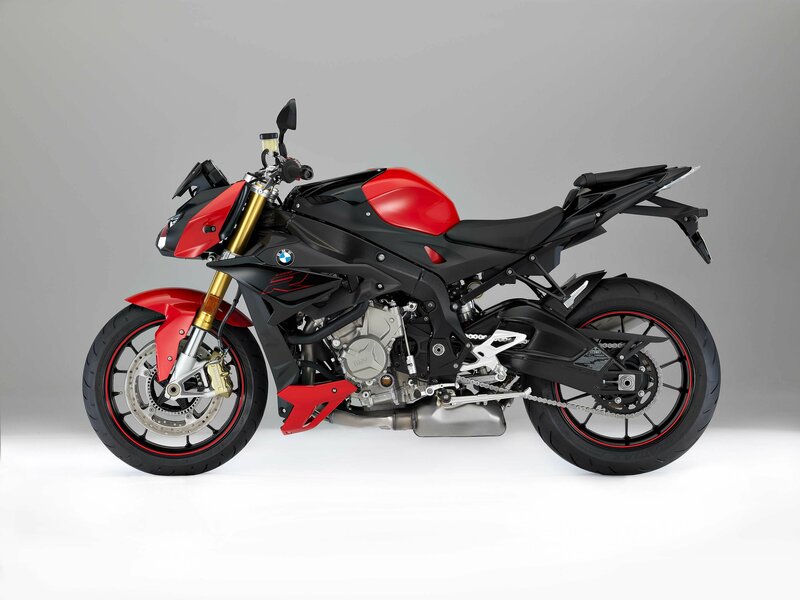 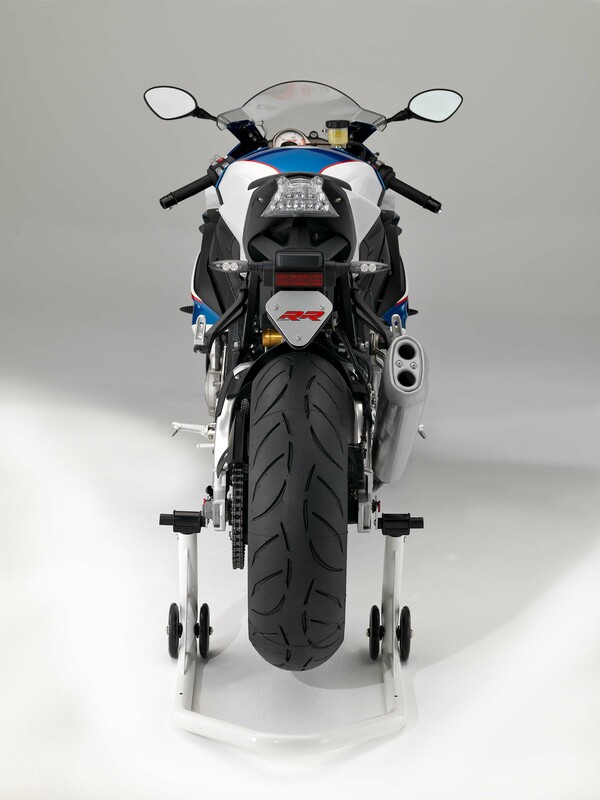 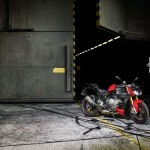 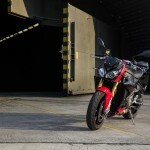 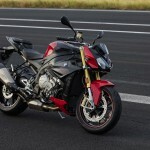 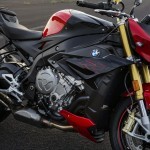 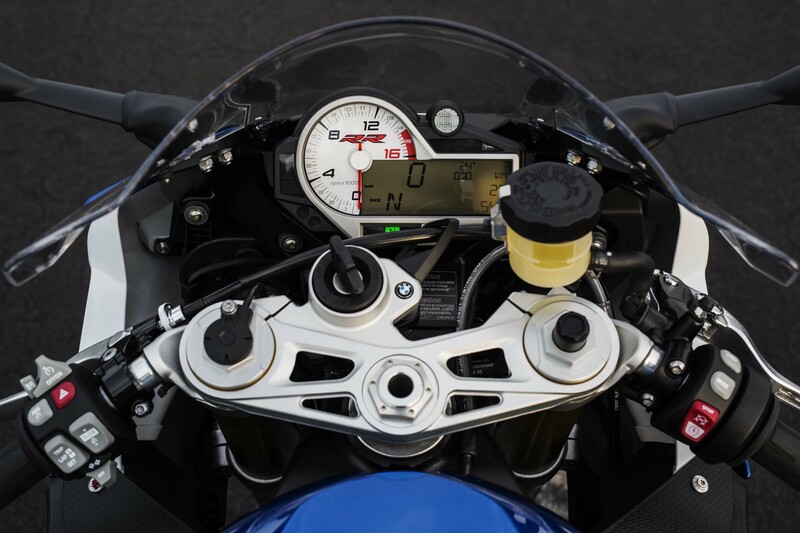 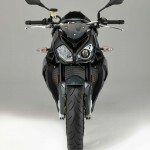 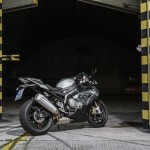 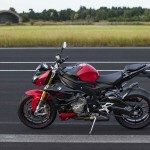 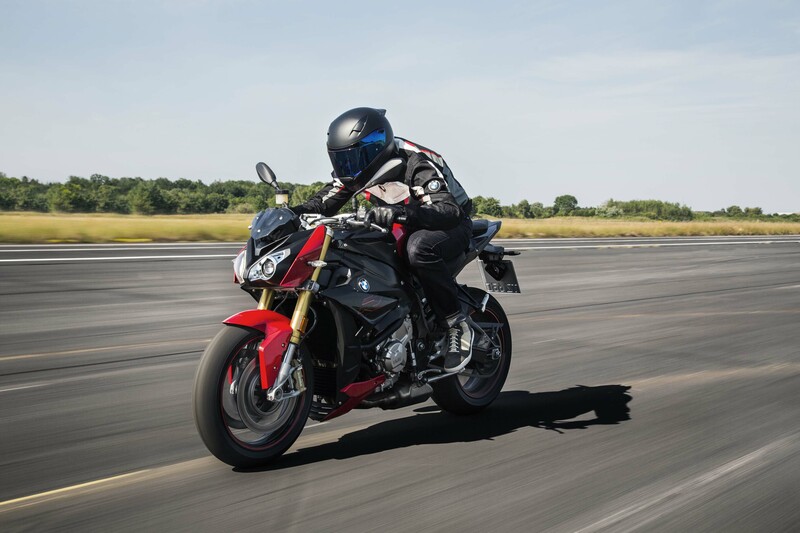 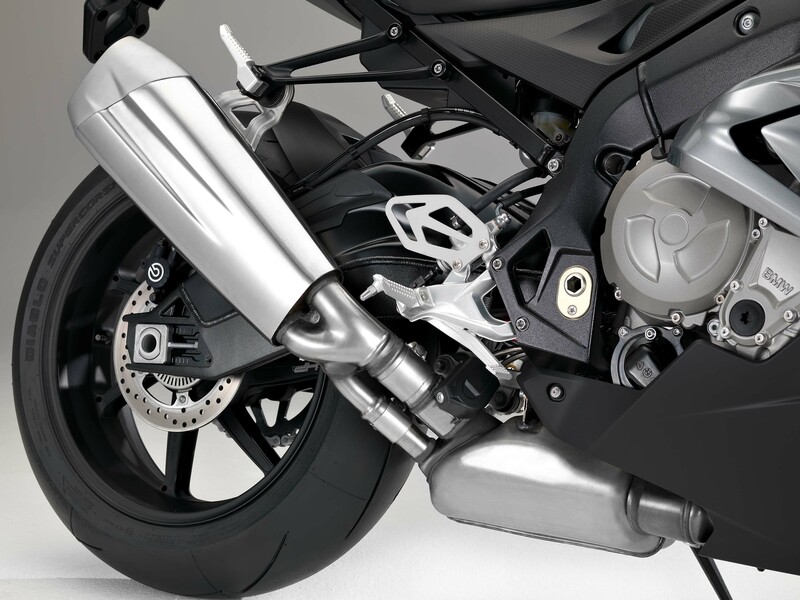 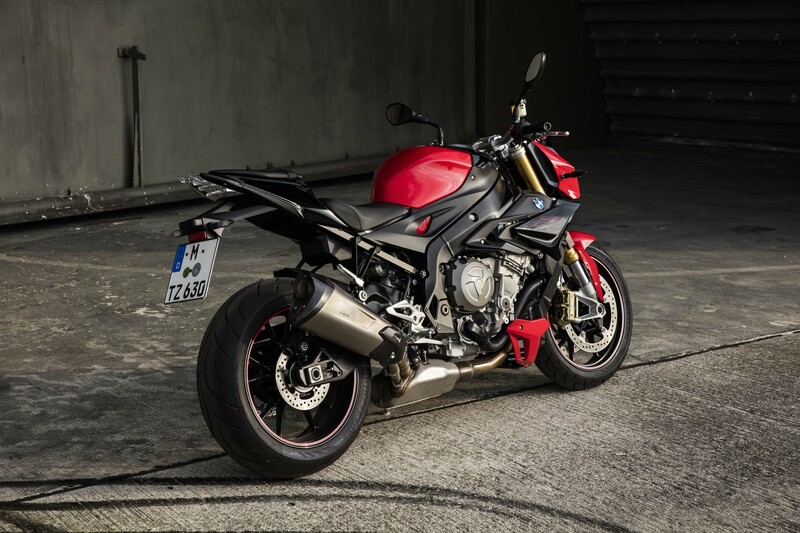 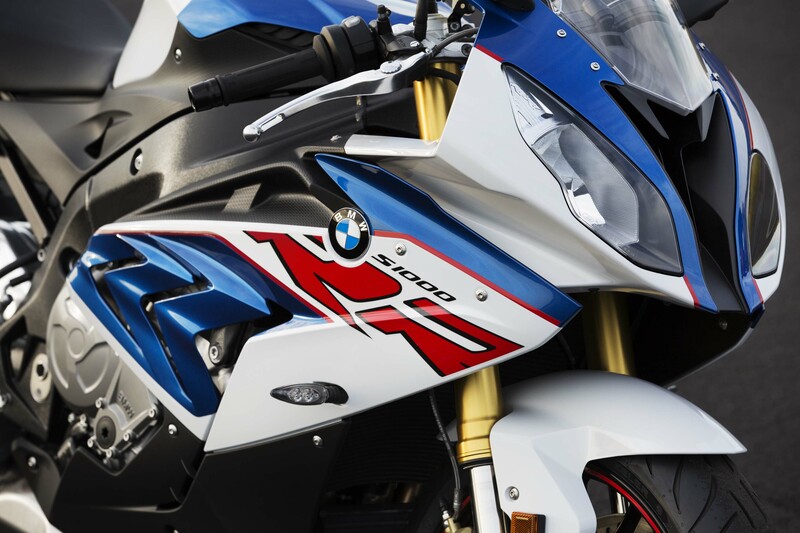 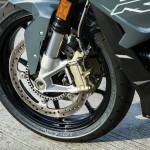 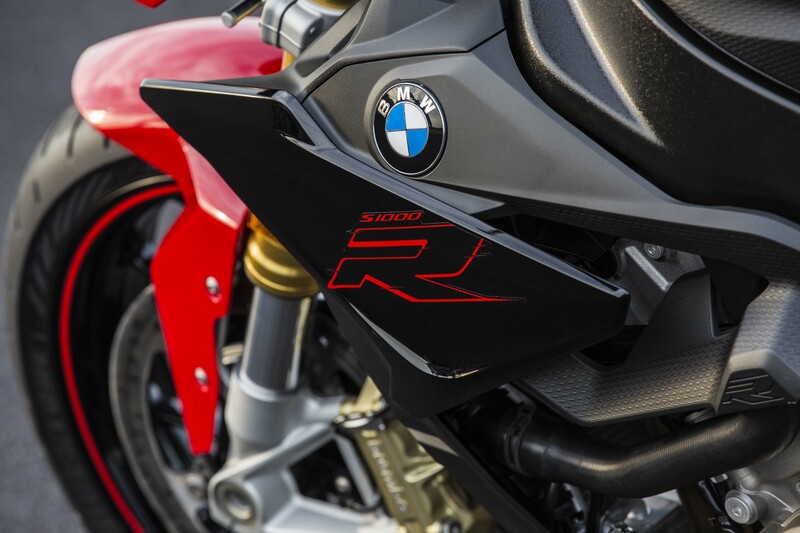 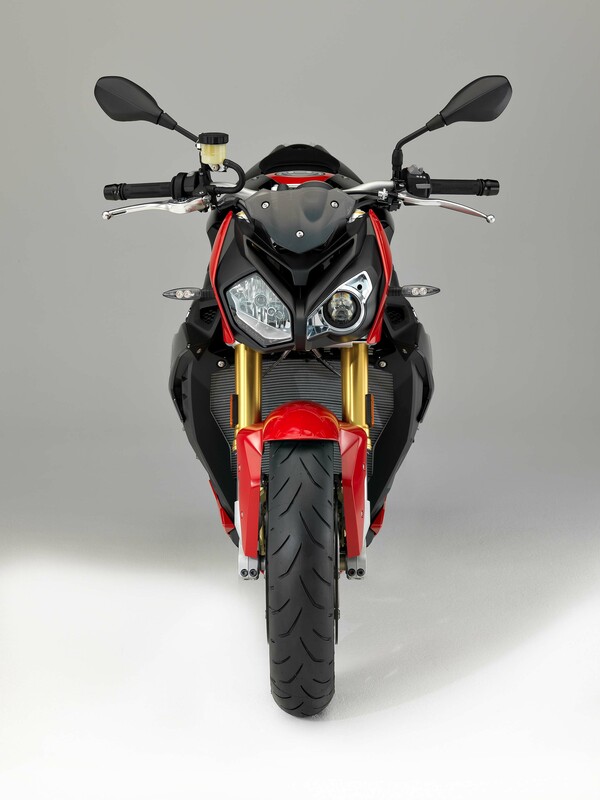 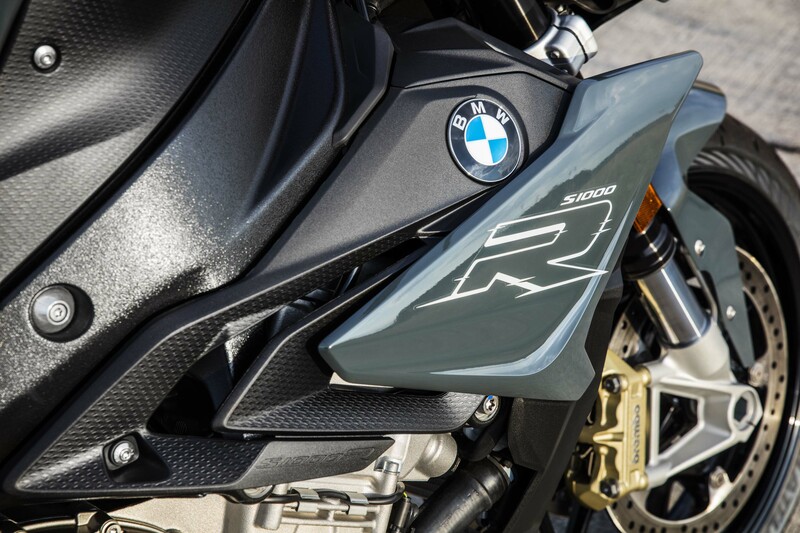 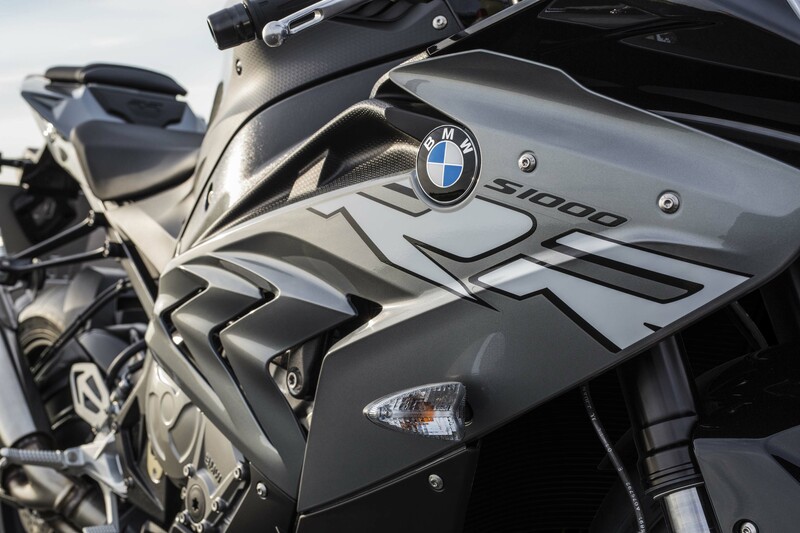 The S1000R receives a 4-hp increase, raising the claimed peak power output to 162 hp at 11,000 rpm. 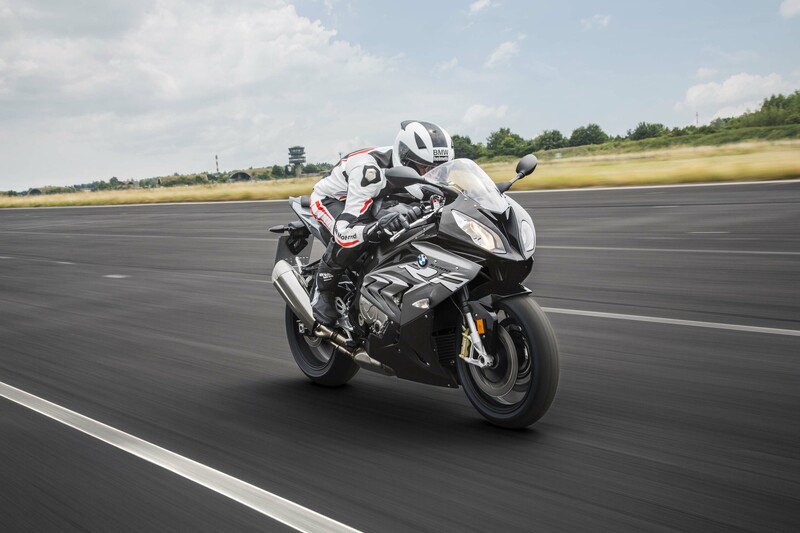 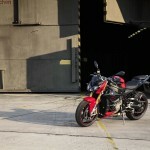 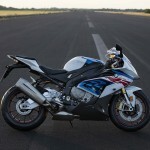 At the same time, BMW shaved off 4.4 pounds for a further improvement in power-to-weight ratio. 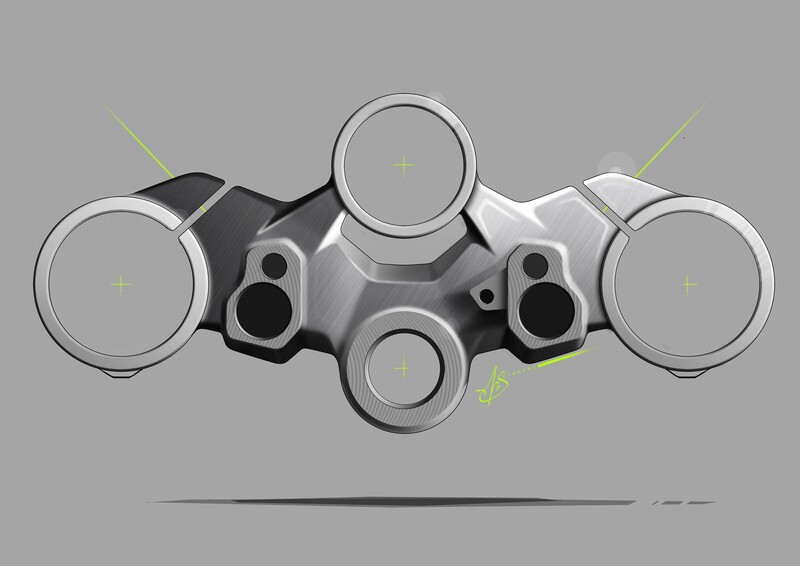 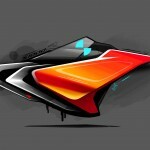 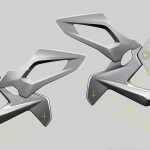 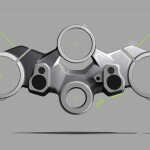 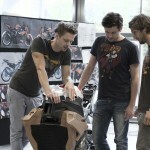 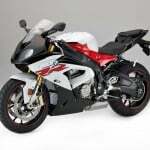 The weight reduction comes mostly from a new frame structure. 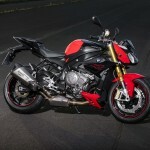 The maximum carrying weight was also raised accordingly by 4.4 pounds. 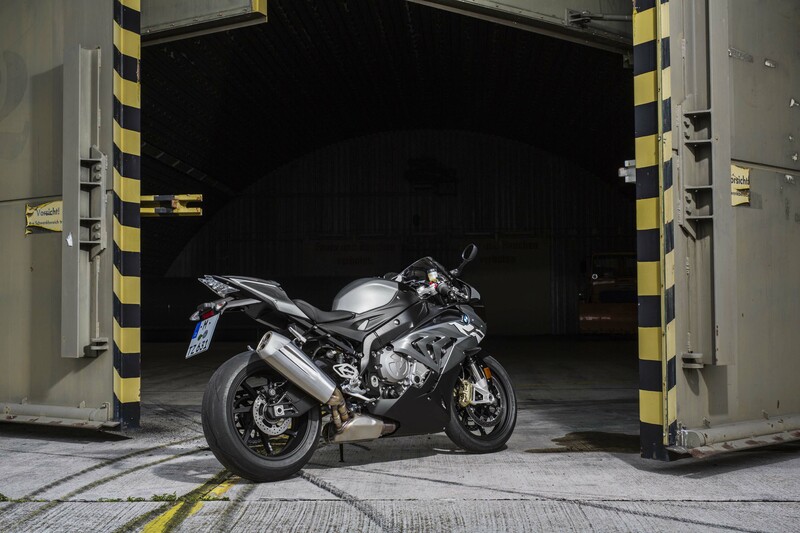 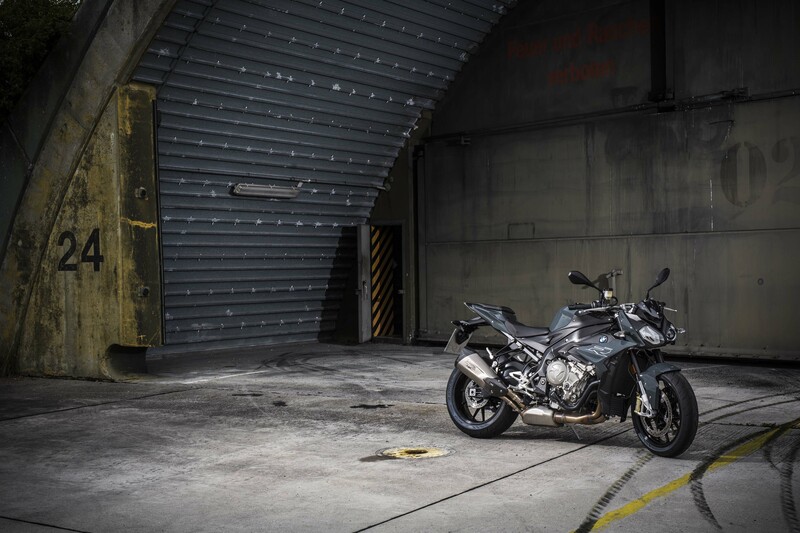 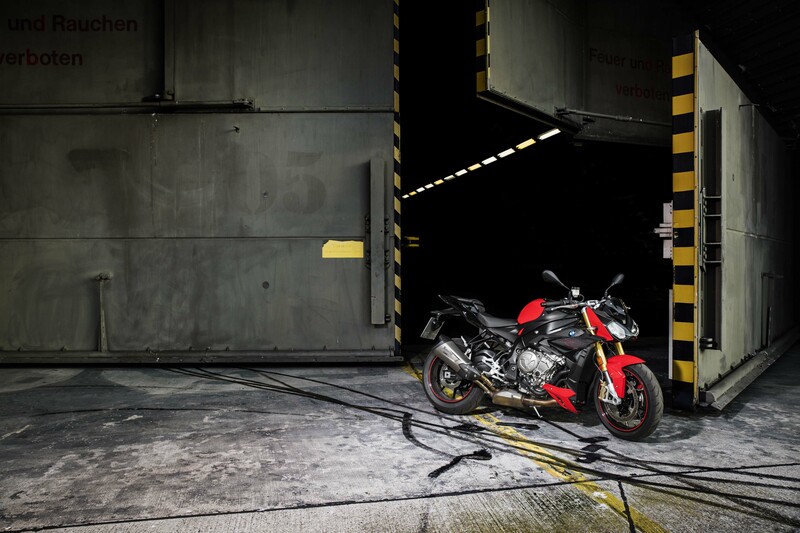 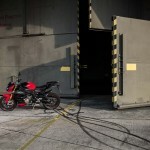 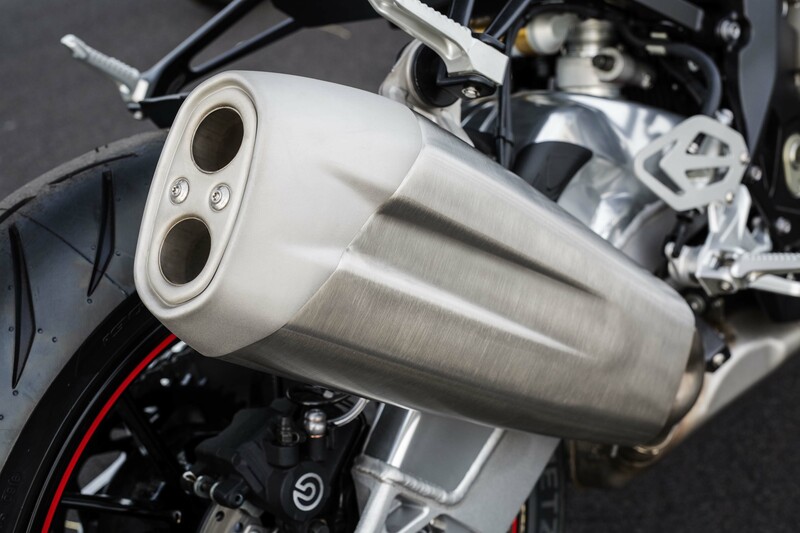 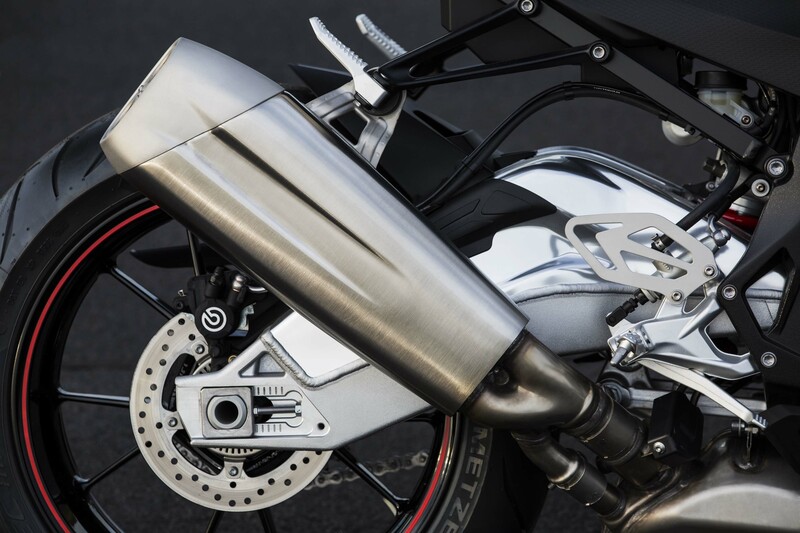 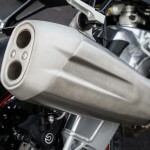 As we saw from spy photos we published earlier, the 2017 S1000R receives some new bodywork and an HP titanium muffler from Akrapovic. 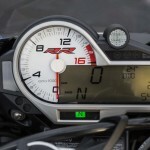 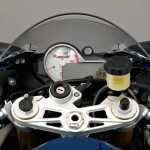 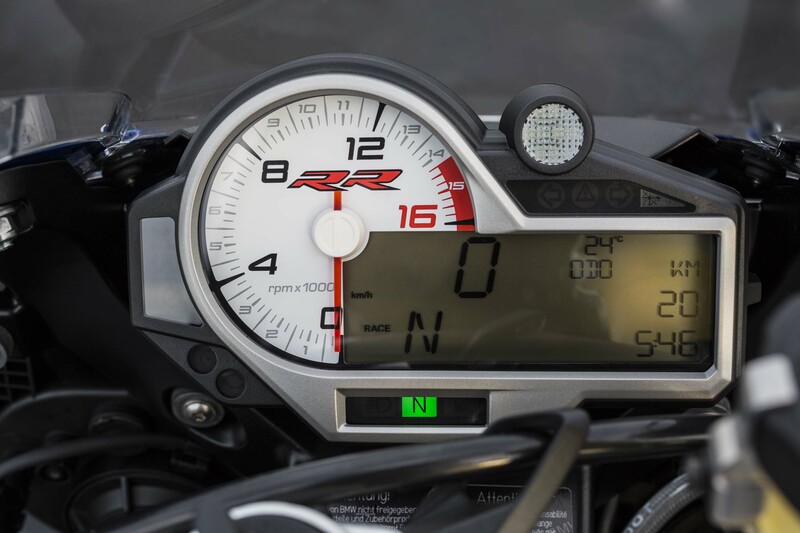 Other standard updates include reduced handlebar vibrations and an easier to read instrument cluster with temperature gauge. 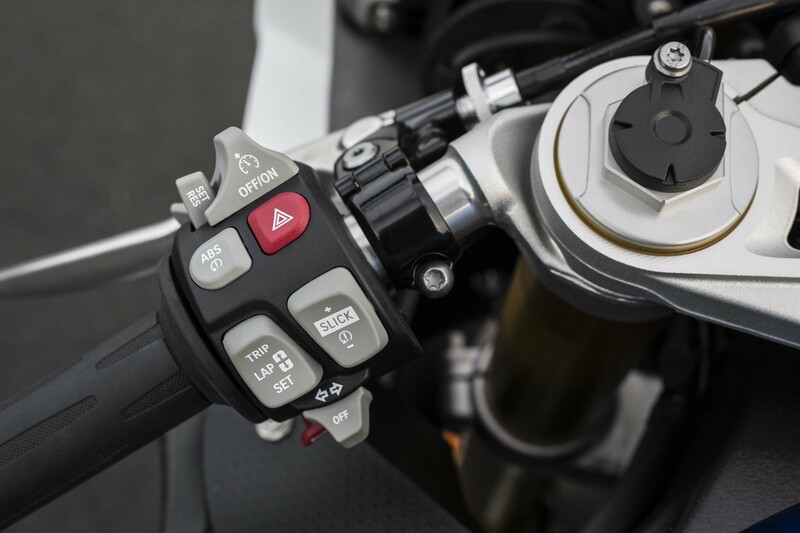 For 2017, BMW added several items as optional equipment. 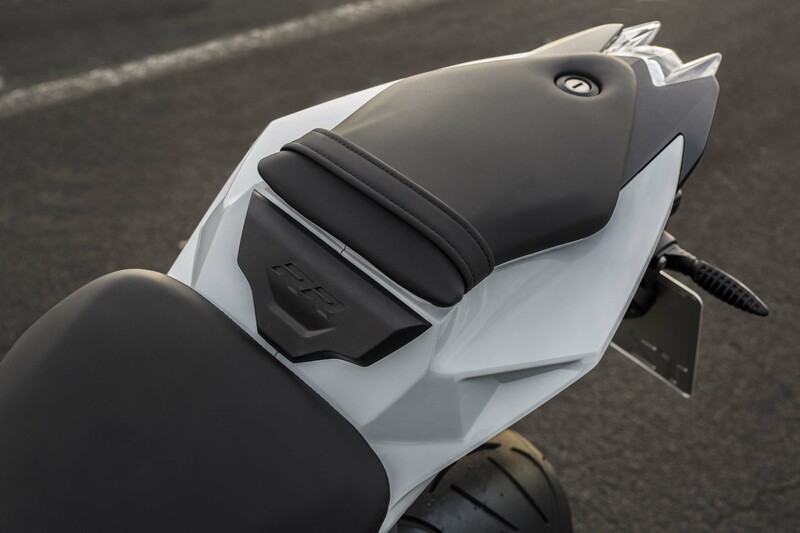 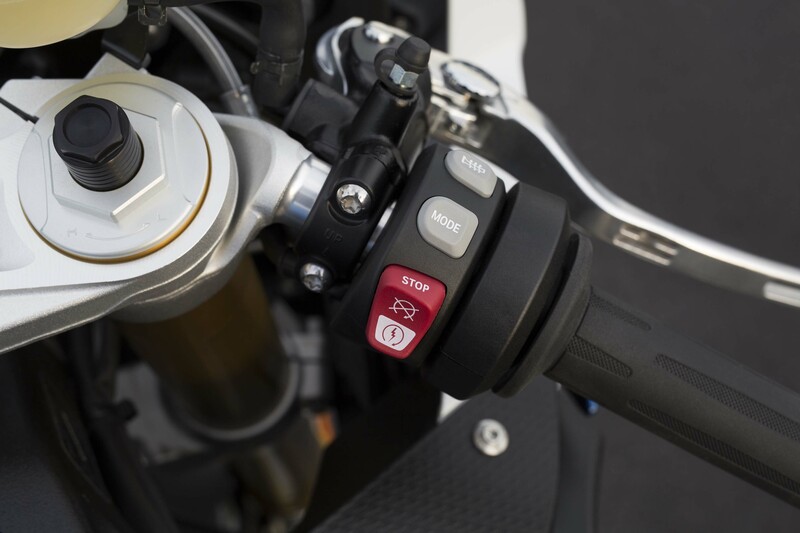 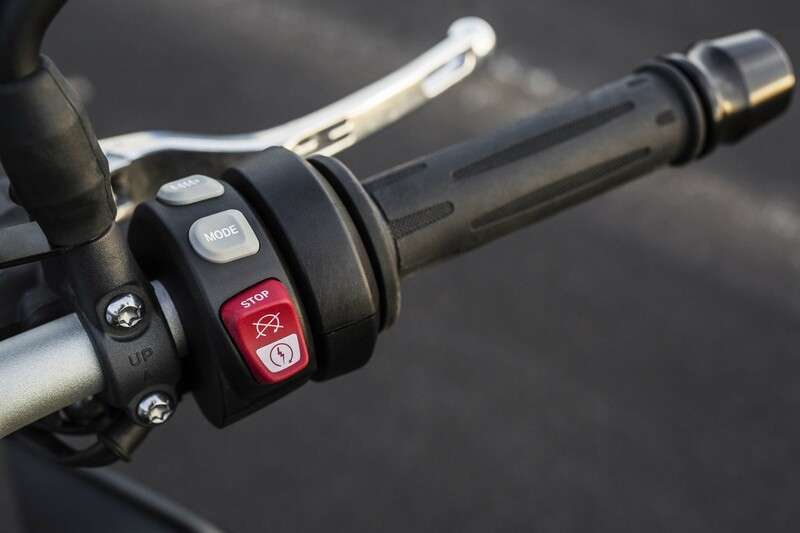 Clutchless up- and downshifting is made possible with the HP Shift Assist Pro option, while the Riding Modes Pro option now includes ABS Pro. 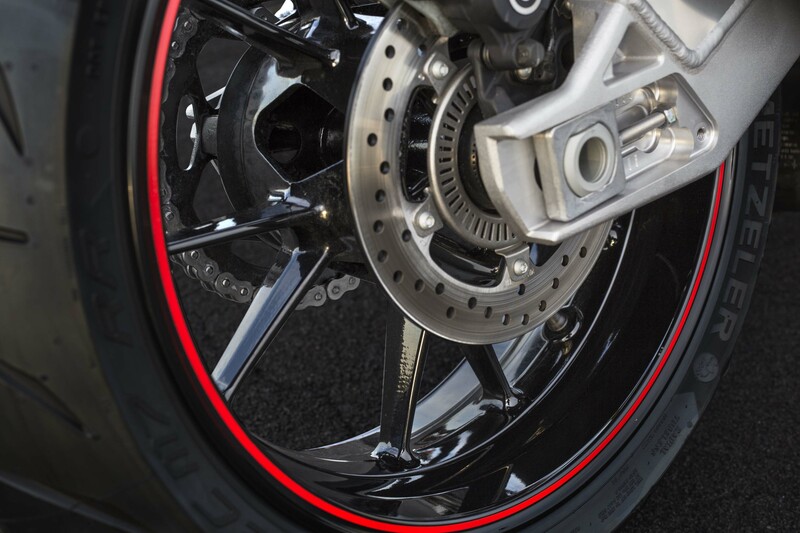 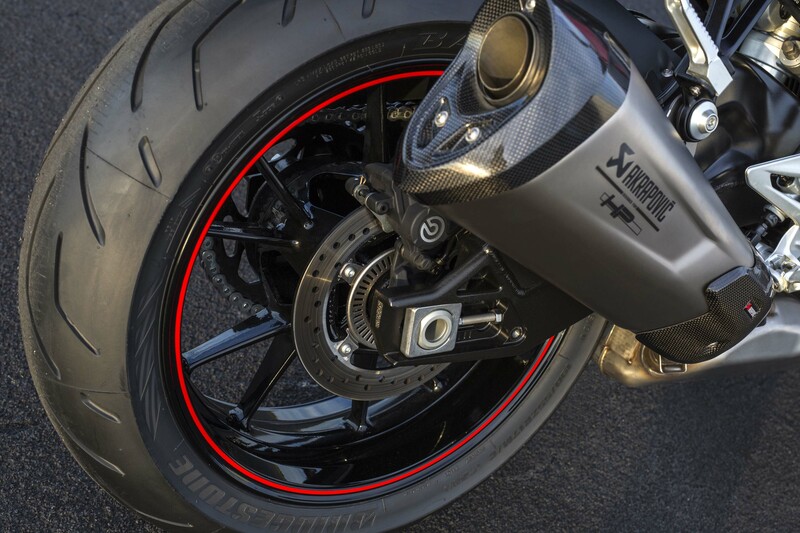 Also optional are HP forged wheels (which trims off another 5.3 pounds) and Design Option Wheels which add red pinstriping. 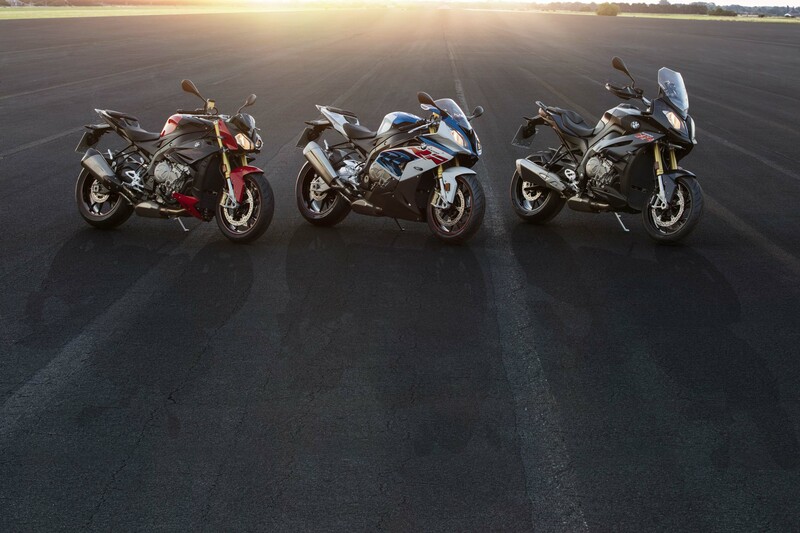 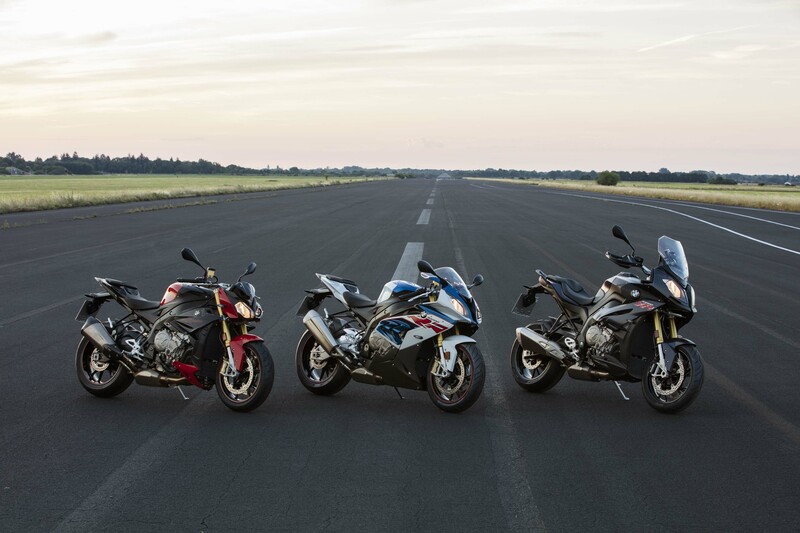 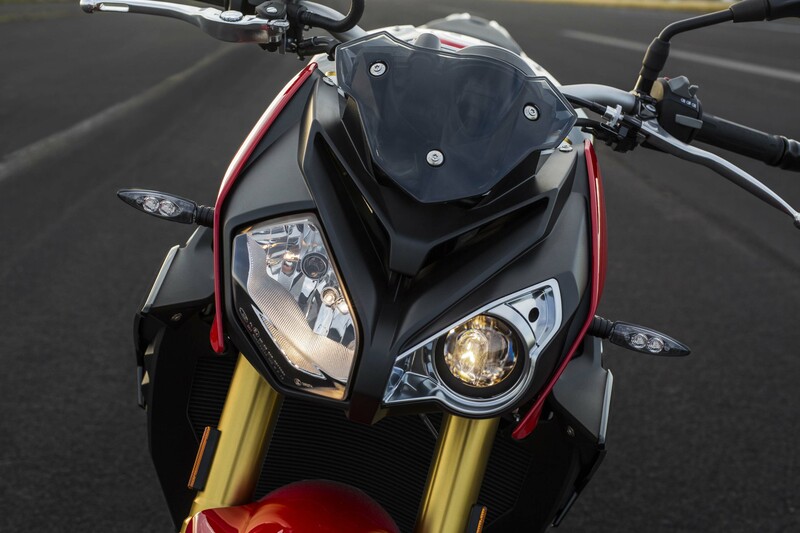 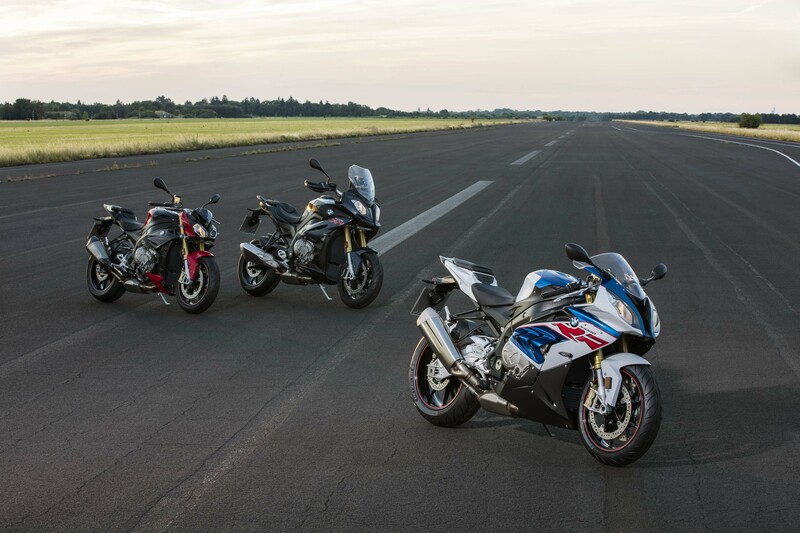 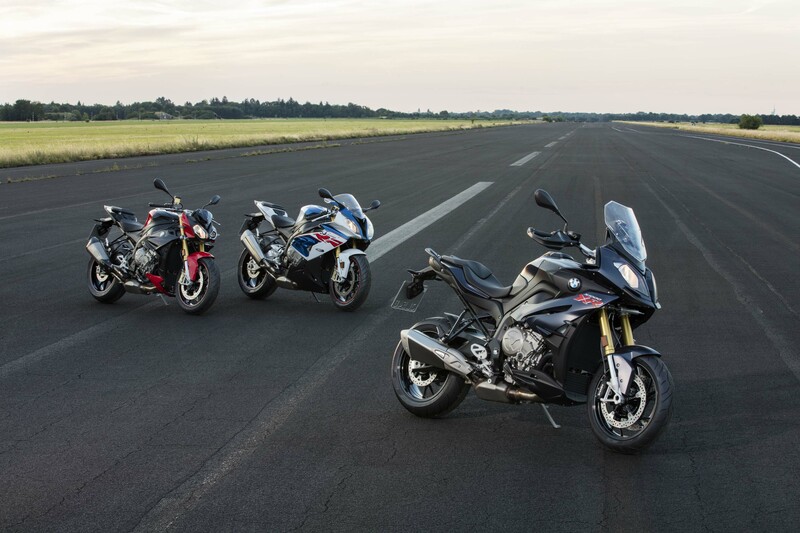 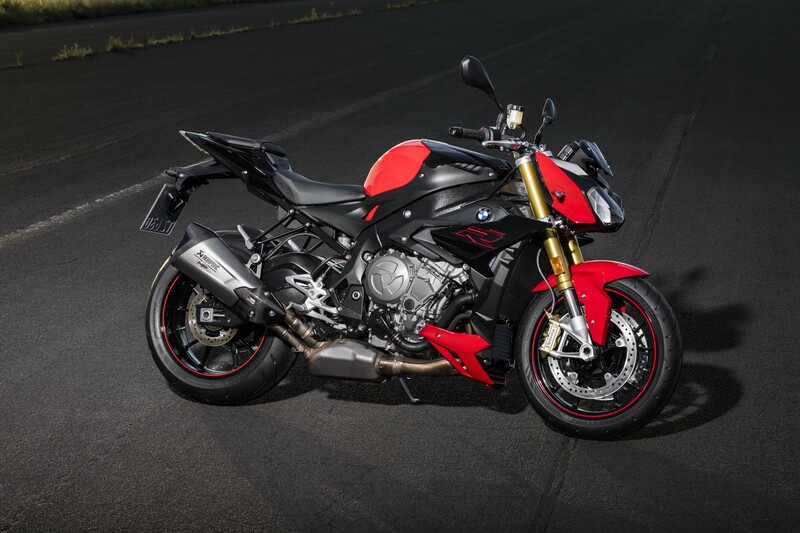 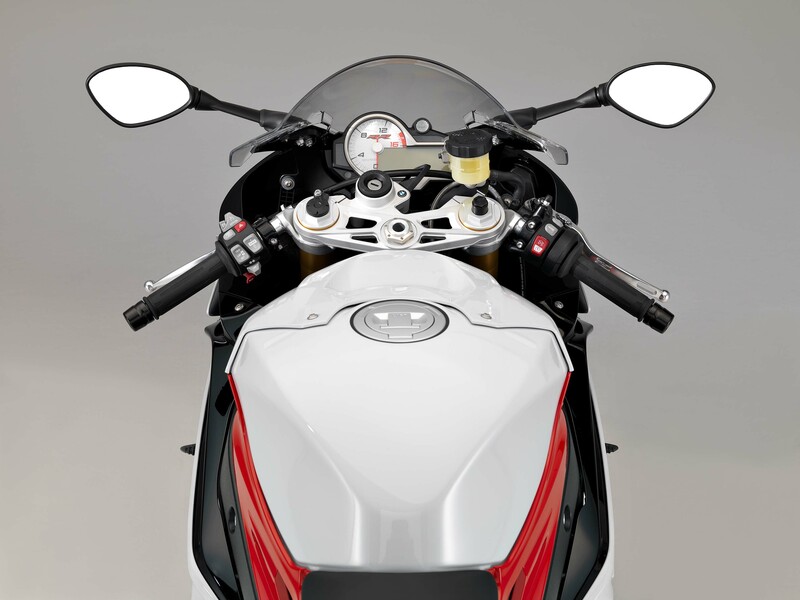 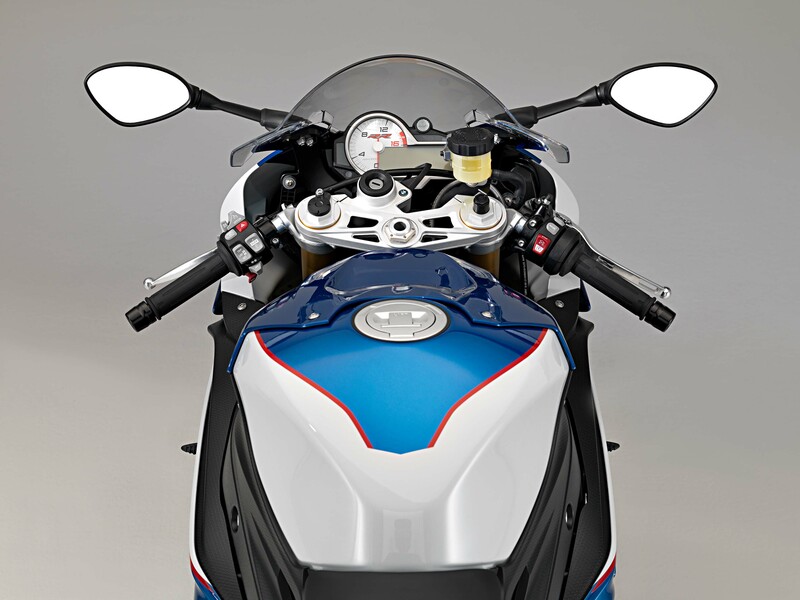 The 2017 S1000R will be offered in three color options: Racing Red non-metallic/Blackstorm metallic, Catalano Grey non-metallic and BMW Motorsport (Lupine Blue metallic/Lightwhite non-metallic/Racing Red non-metallic). 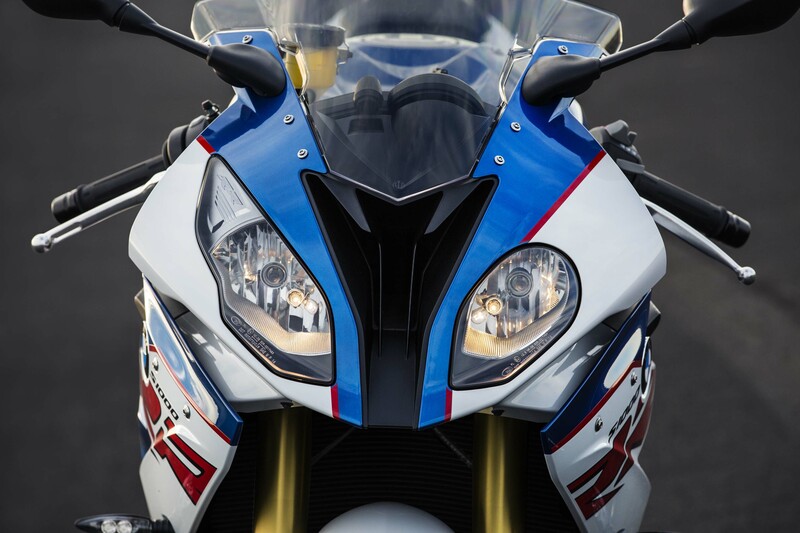 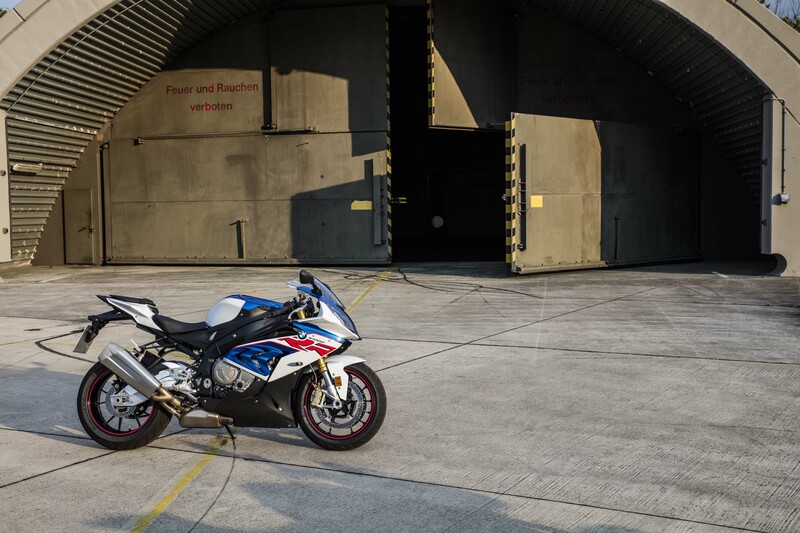 For 2017, the S1000RR receives traction control and a choice of passenger seat or a single-seat with pillion cover as standard equipment. 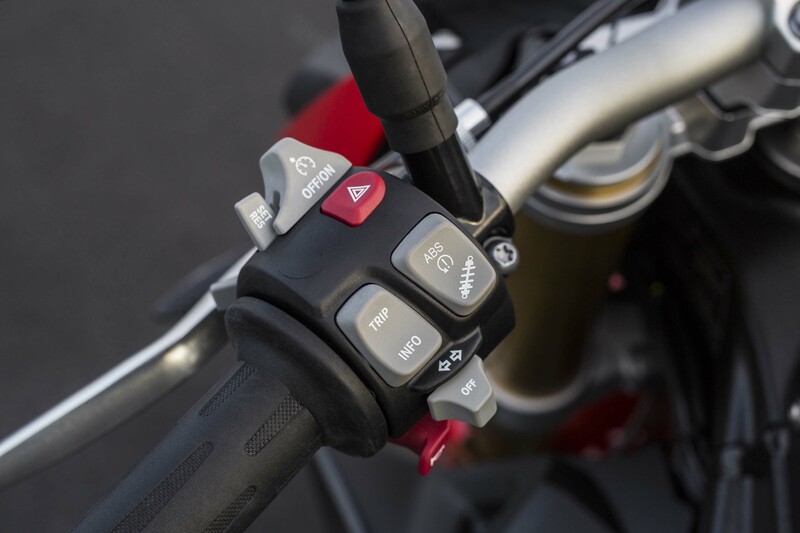 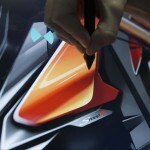 ABS Pro also becomes packaged into the Riding Modes Pro option. 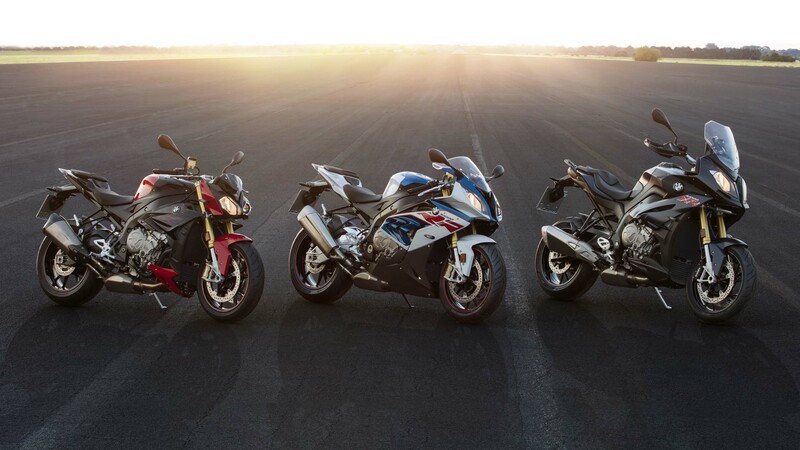 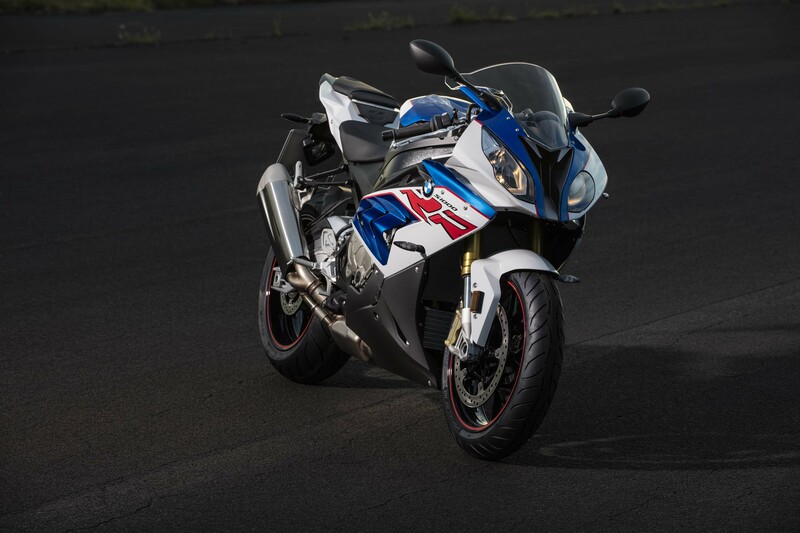 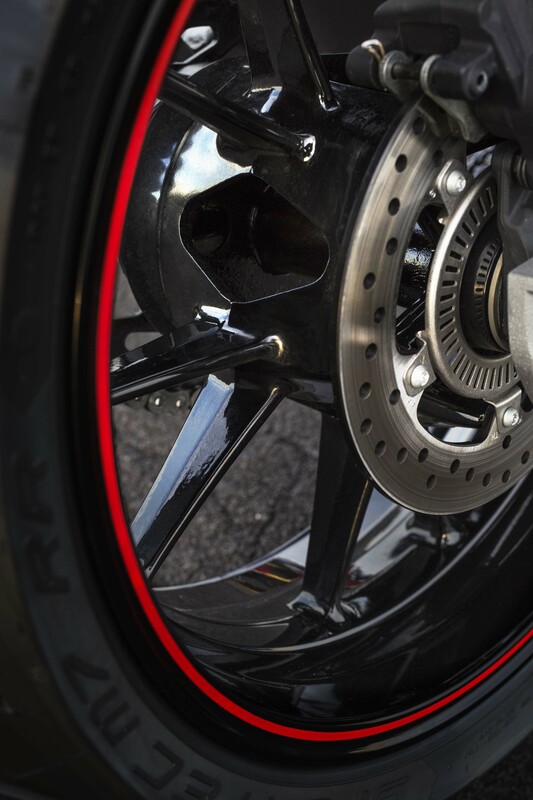 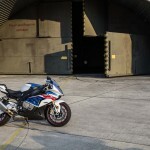 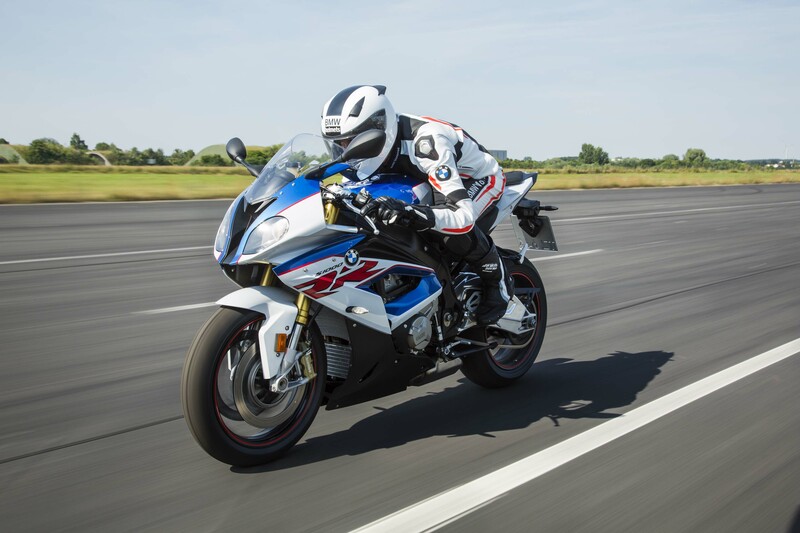 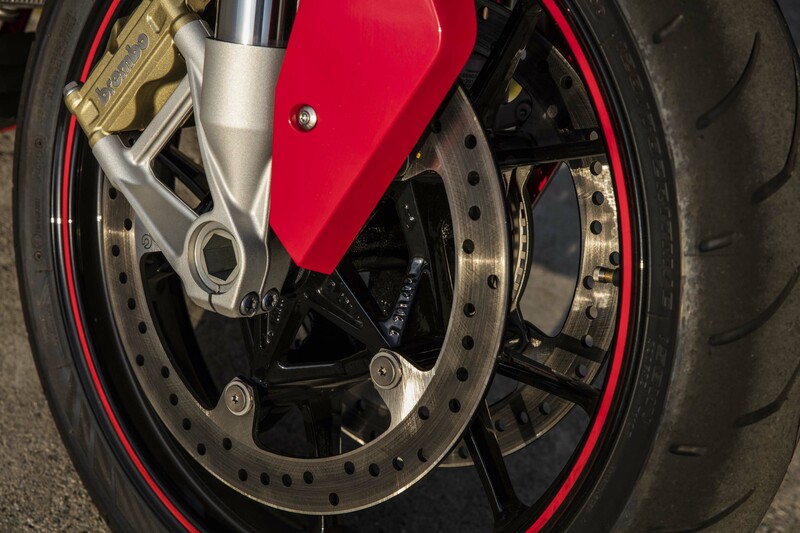 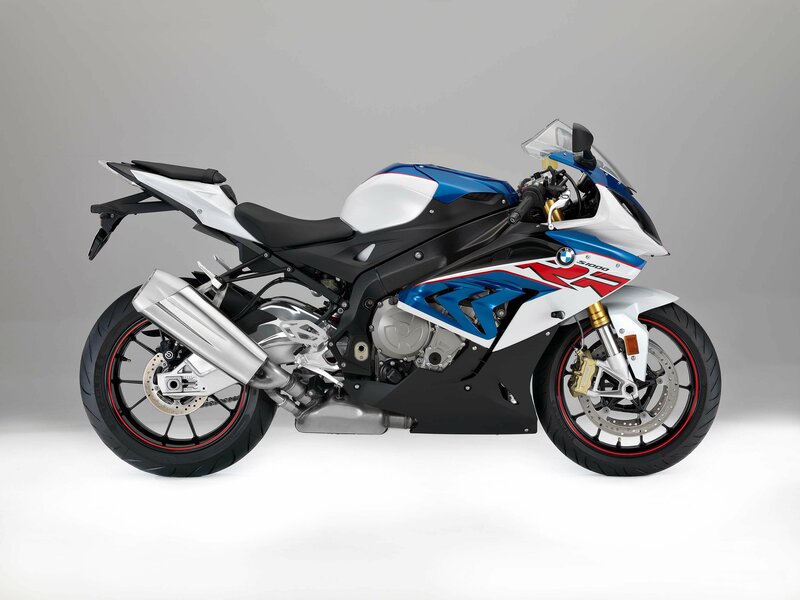 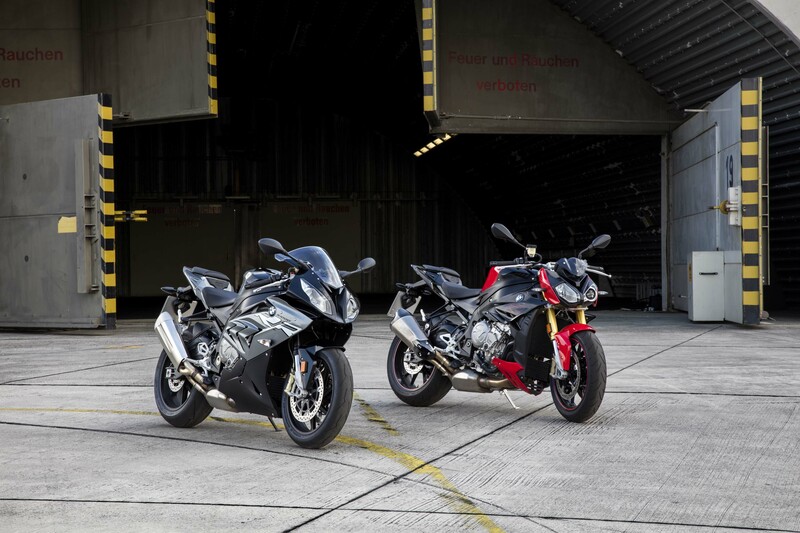 The S1000RR will have three color options, Racing Red non-metallic/Lightwhite non-metallic, BMW Motorsport (Lupine Blue metallic/Lightwhite non-metallic/Racing Red non-metallic) and Granite Grey metallic/Blackstorm metallic (the first two come standard with the Design Option Wheels). 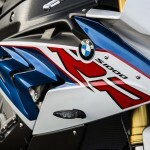 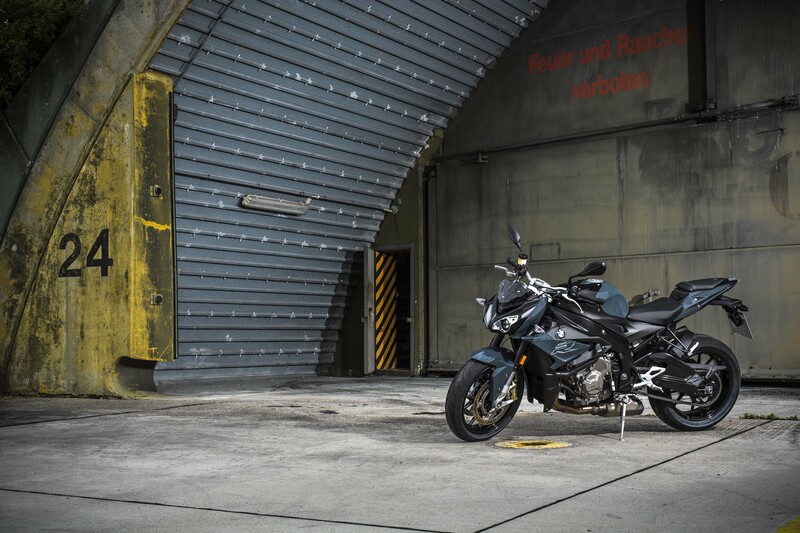 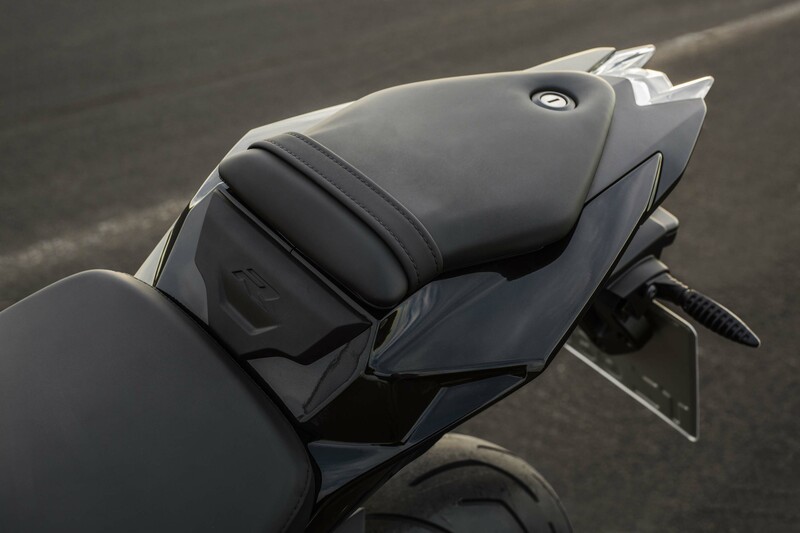 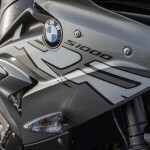 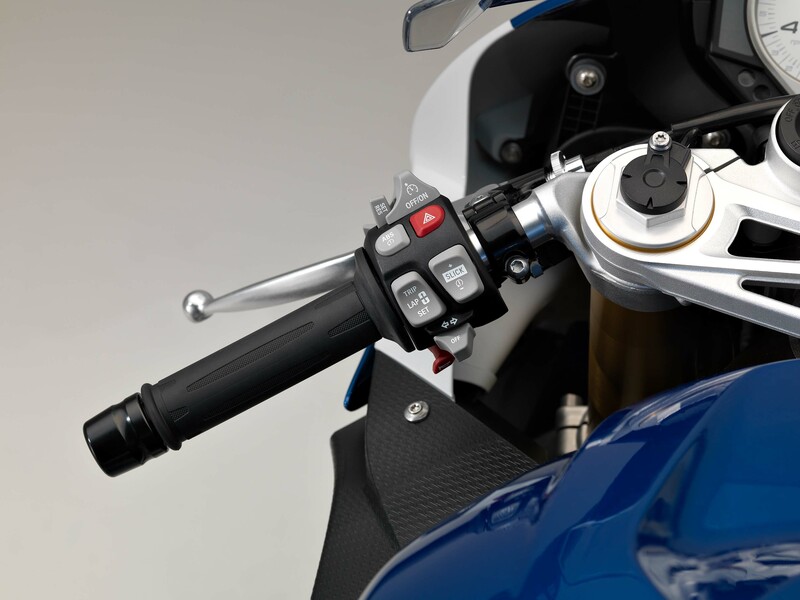 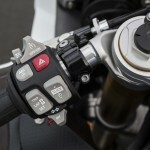 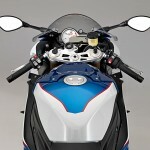 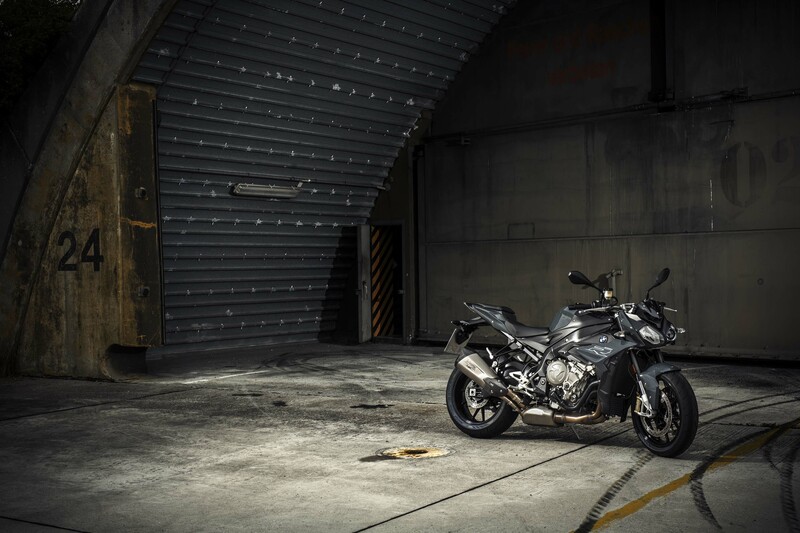 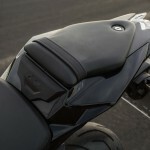 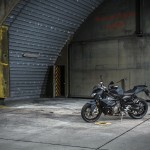 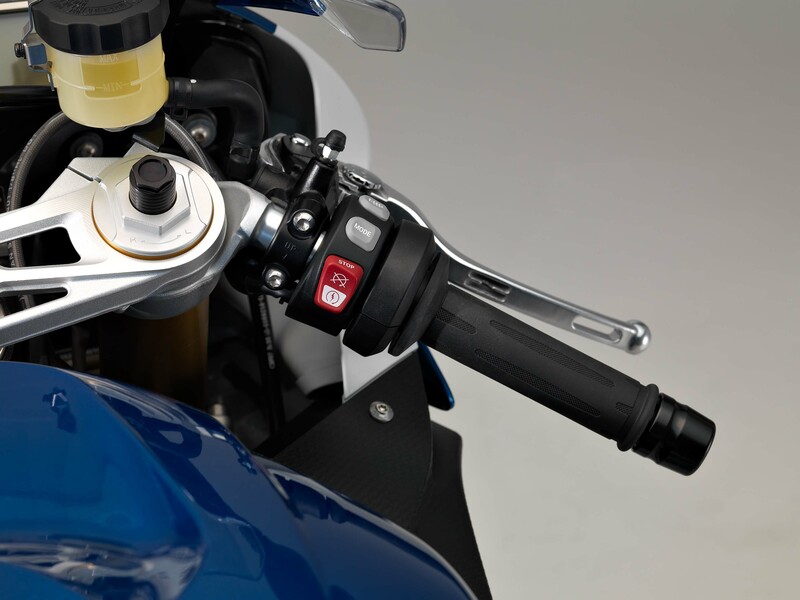 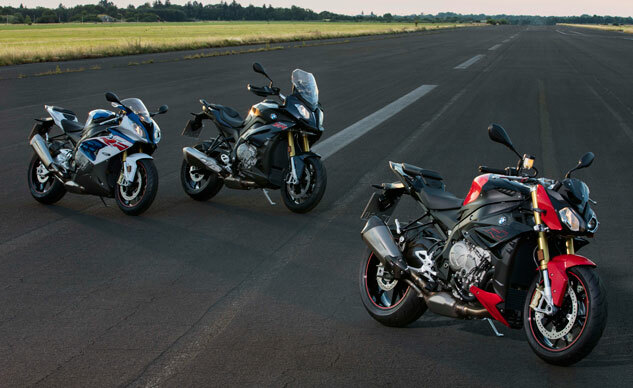 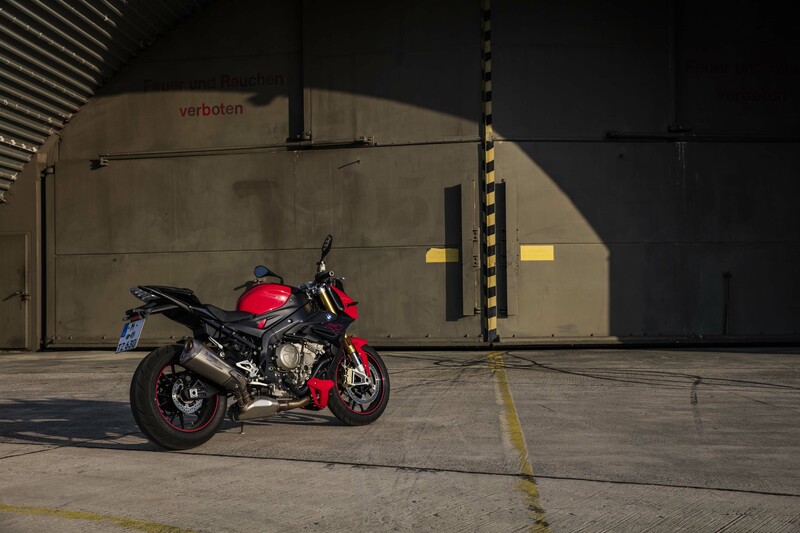 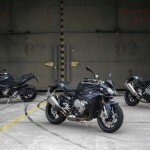 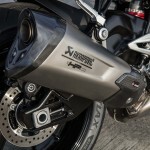 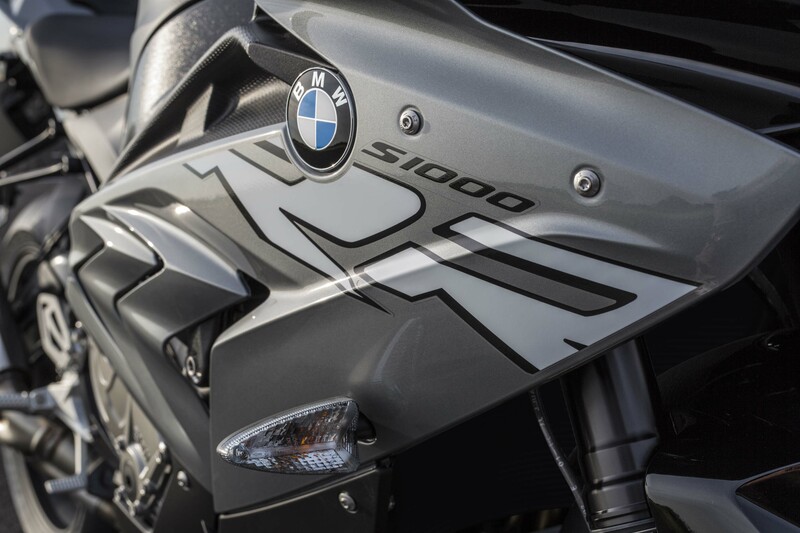 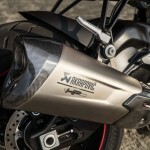 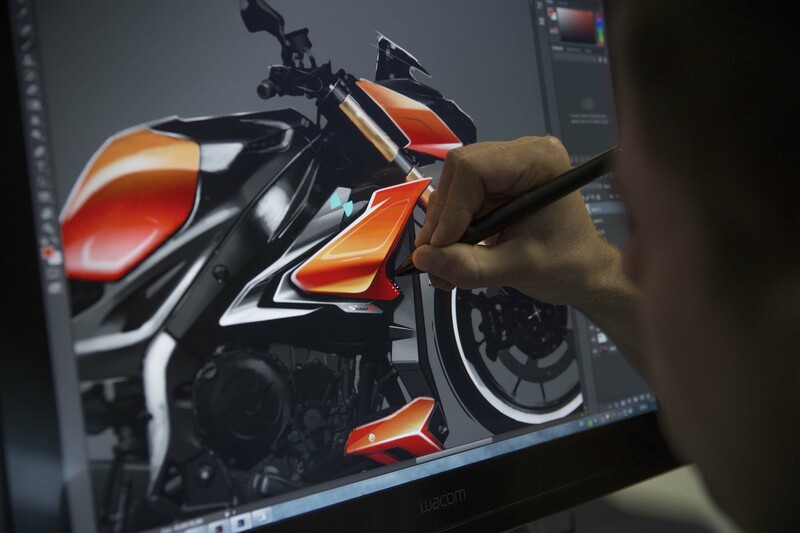 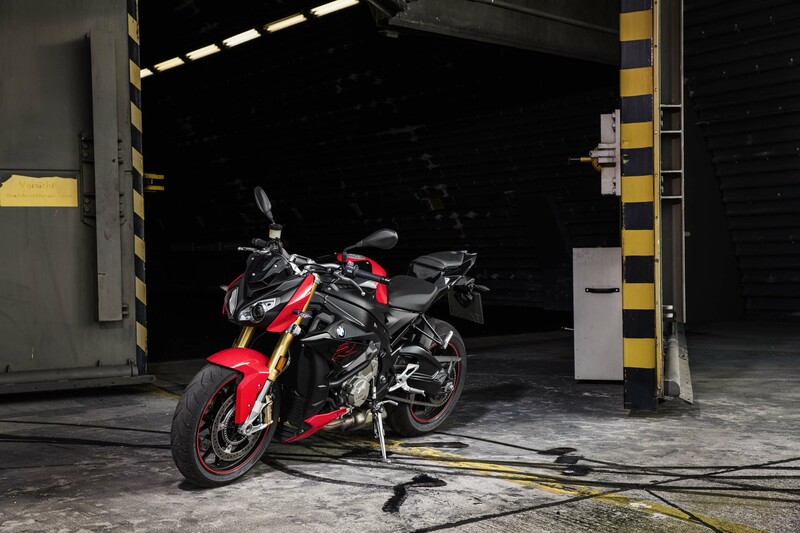 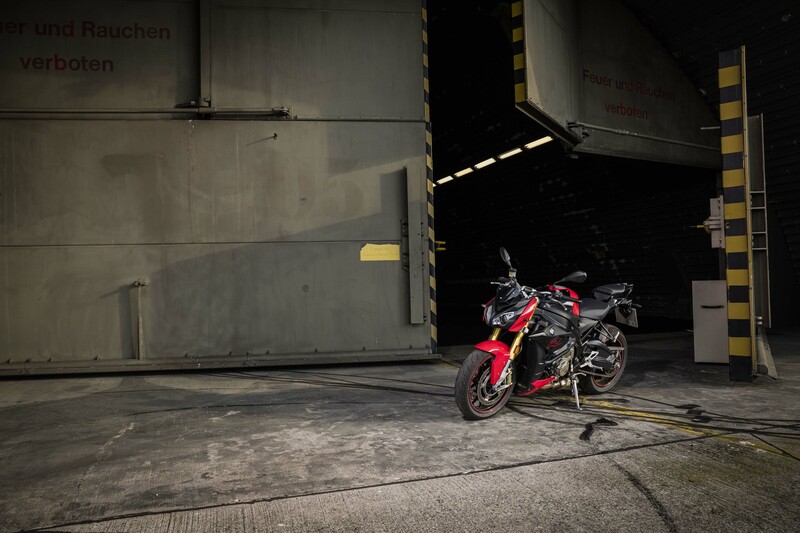 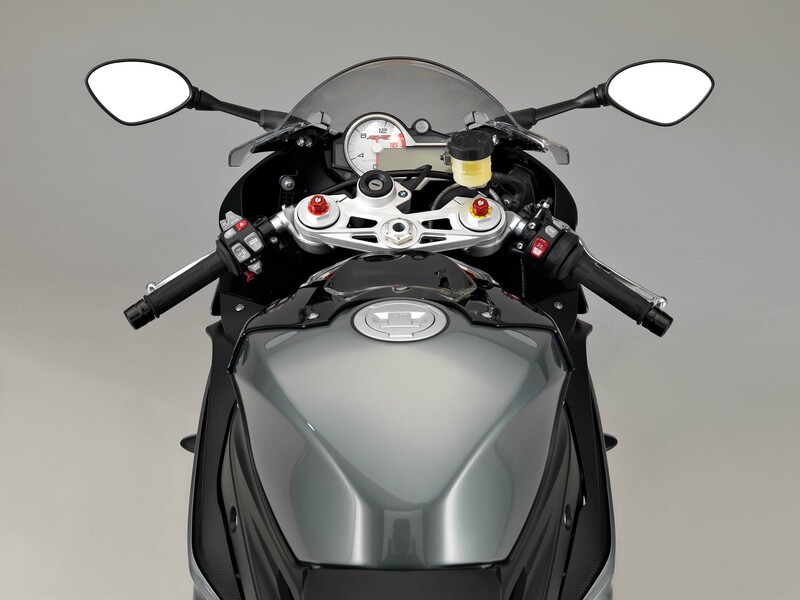 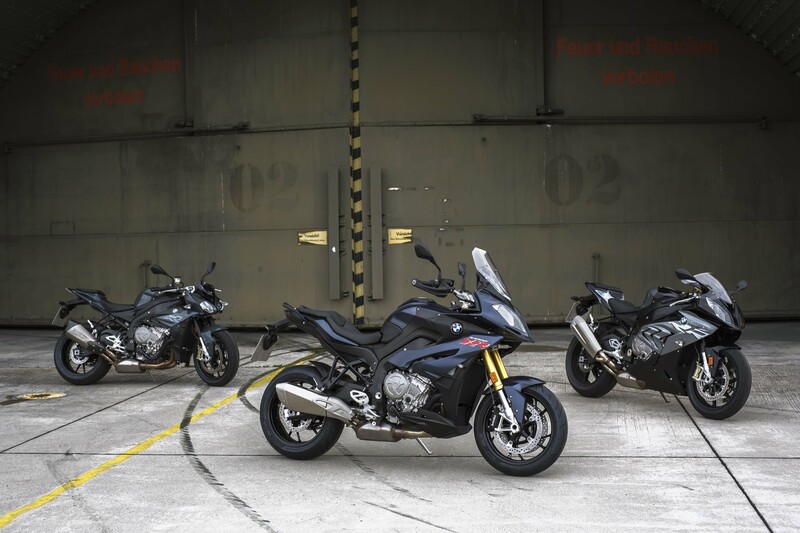 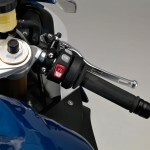 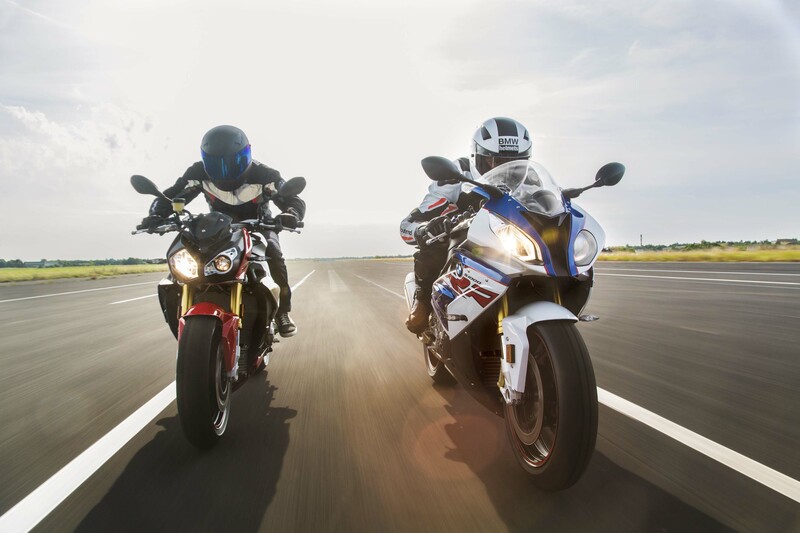 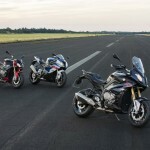 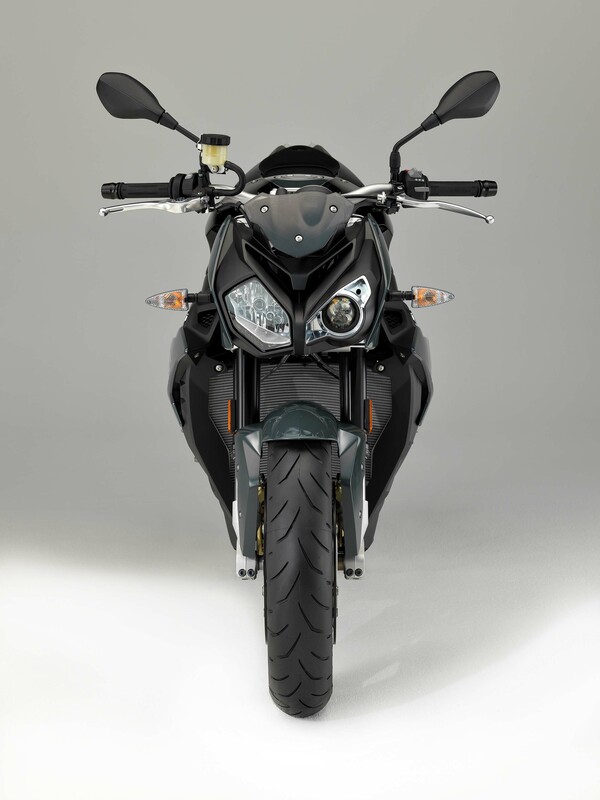 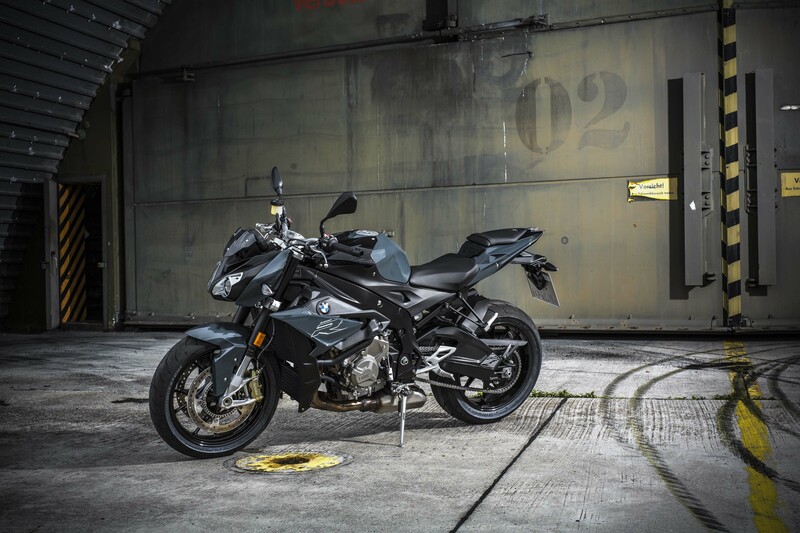 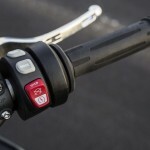 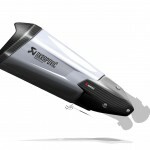 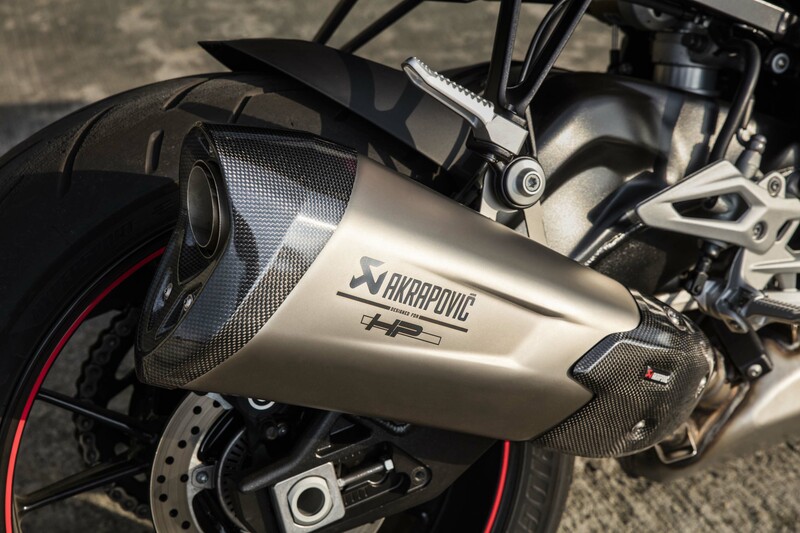 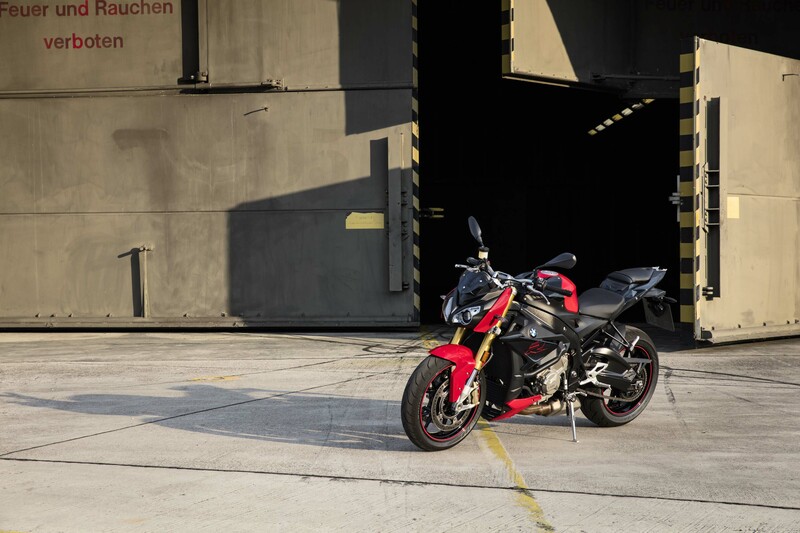 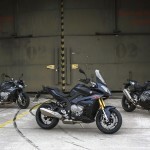 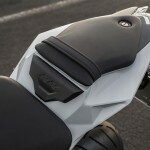 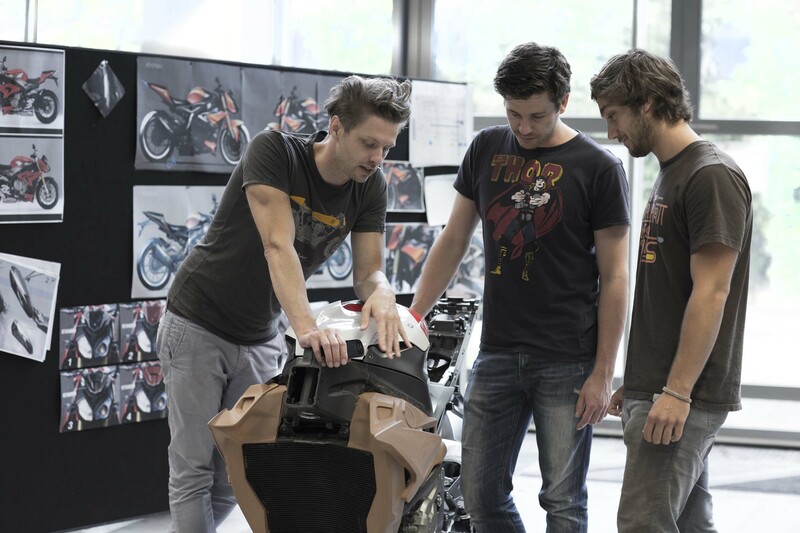 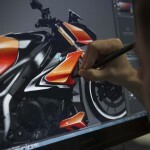 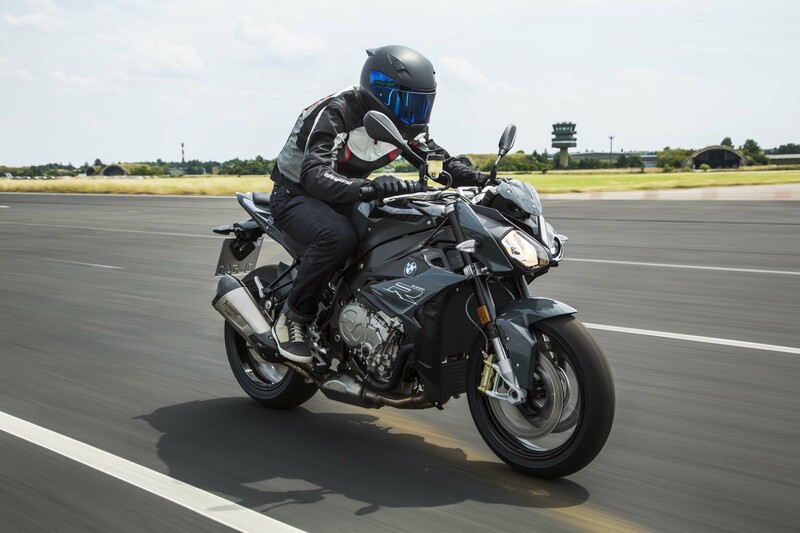 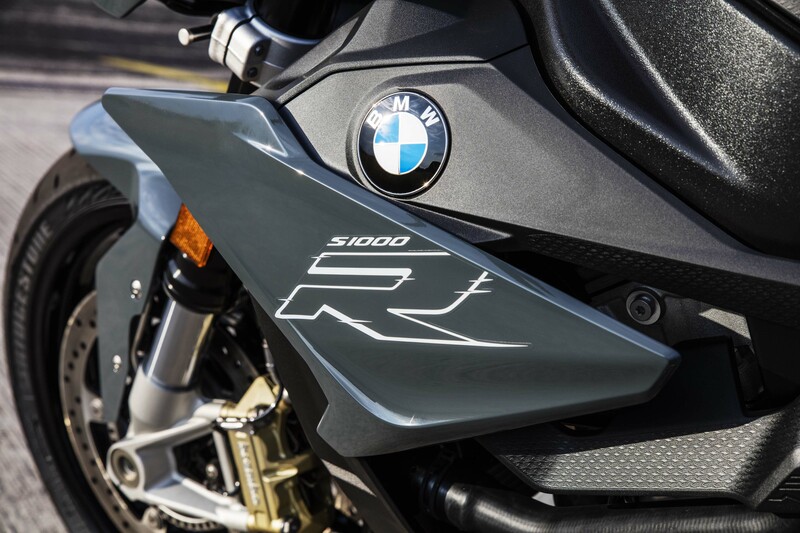 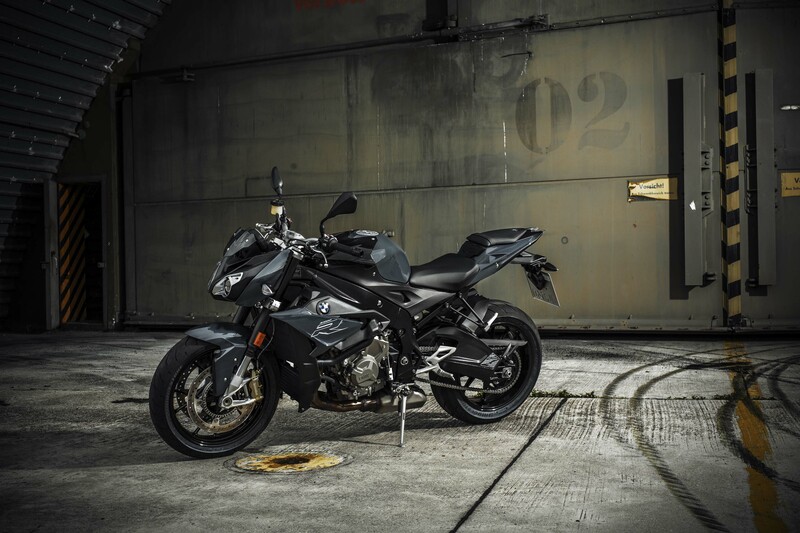 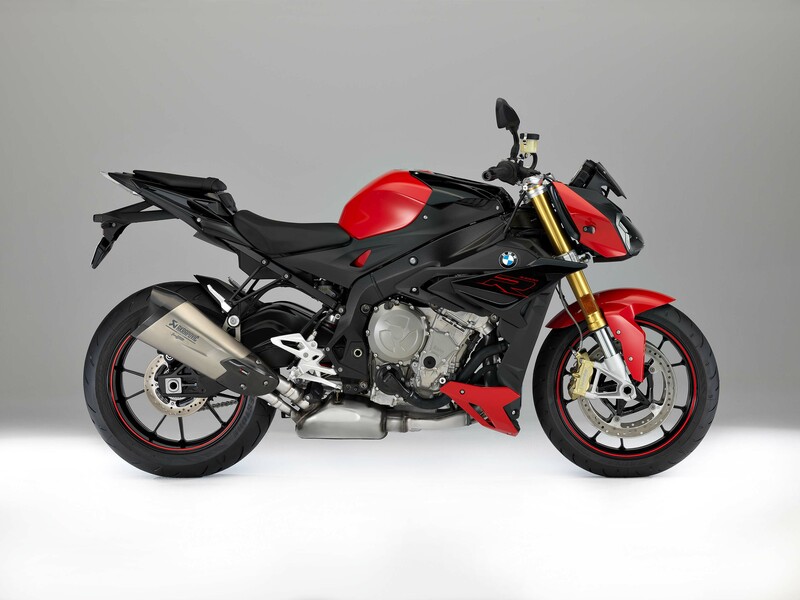 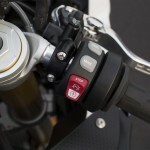 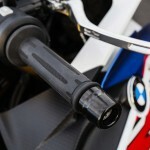 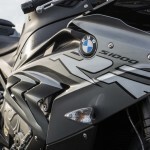 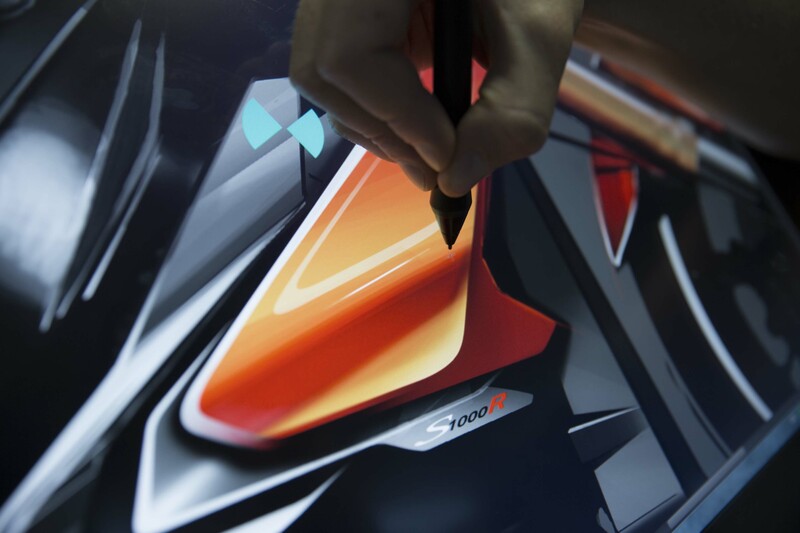 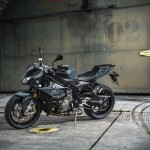 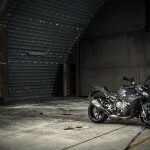 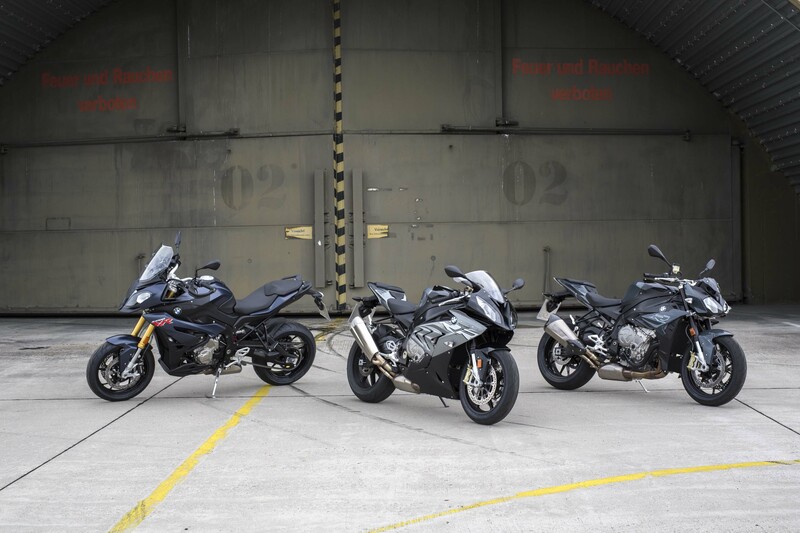 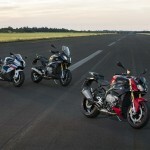 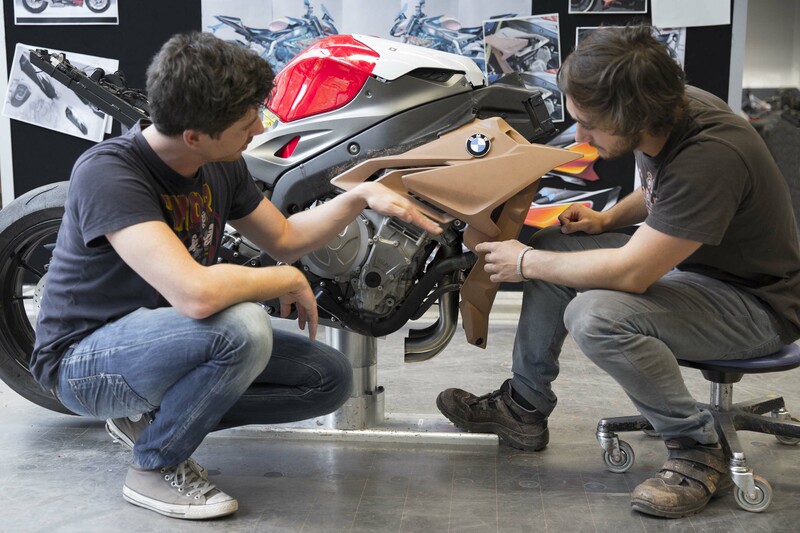 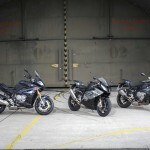 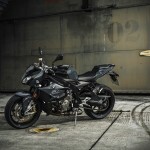 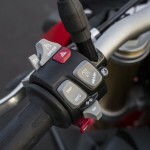 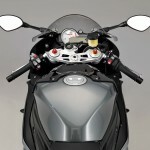 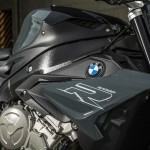 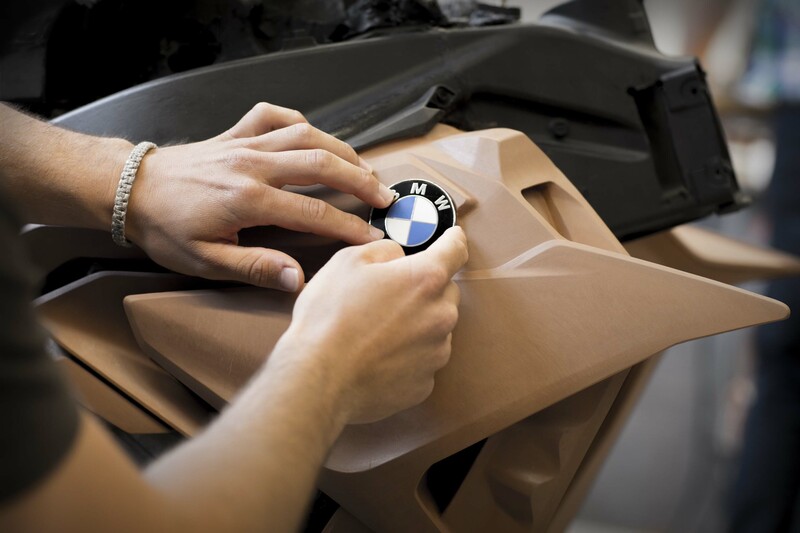 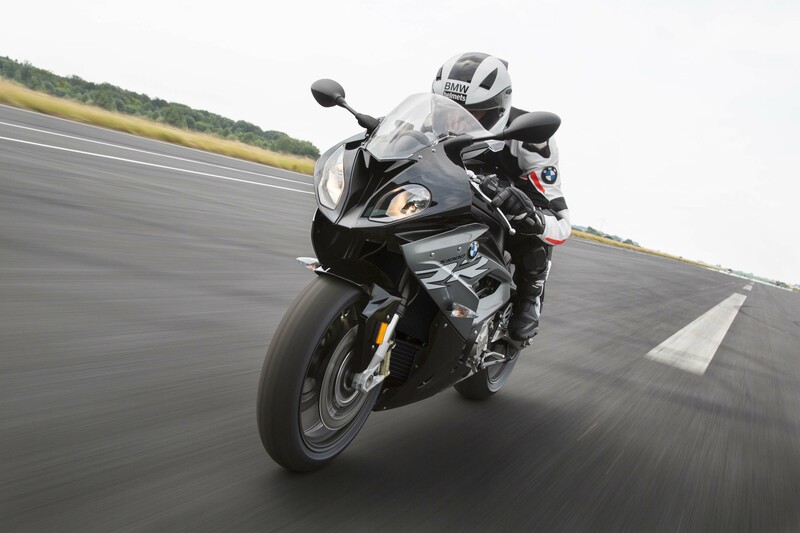 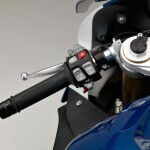 The S1000XR receives the same 4-hp increase and reduced-vibration handlebars as the S1000R. 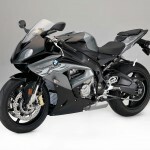 BMW didn’t mention any weight reduction, but the maximum payload went up 22 pounds to 978.9 pounds. 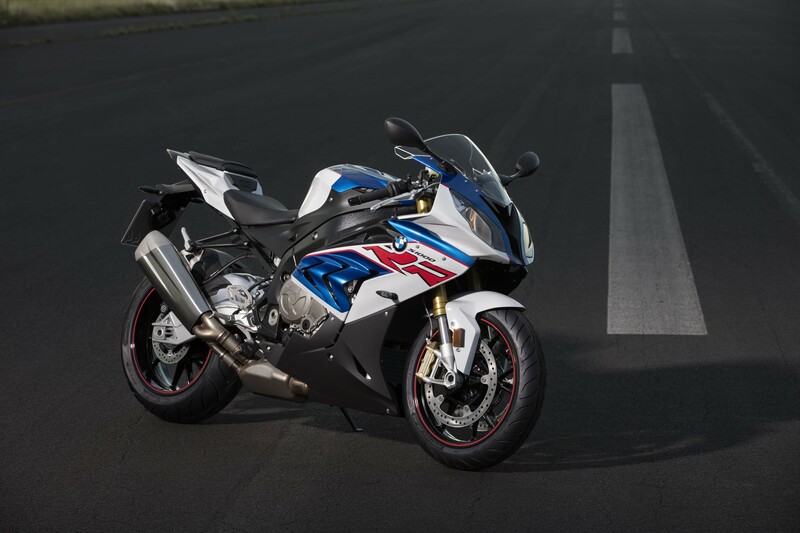 A new Ocean Blue metallic matt option joins the returning Racing Red non-metallic and Lightwhite non-metallic / Granite Grey metallic matt / Racing Red non-metallic color schemes. 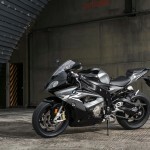 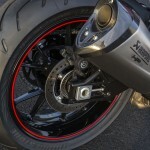 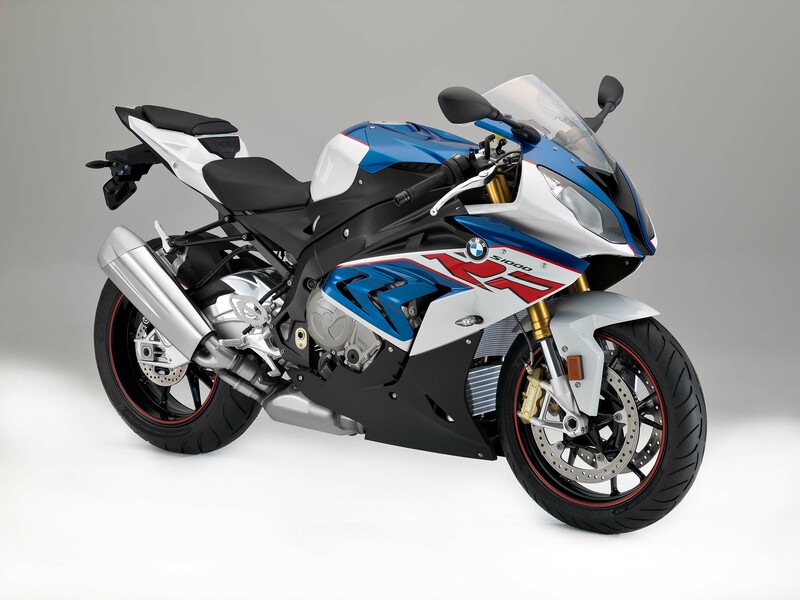 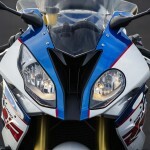 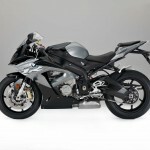 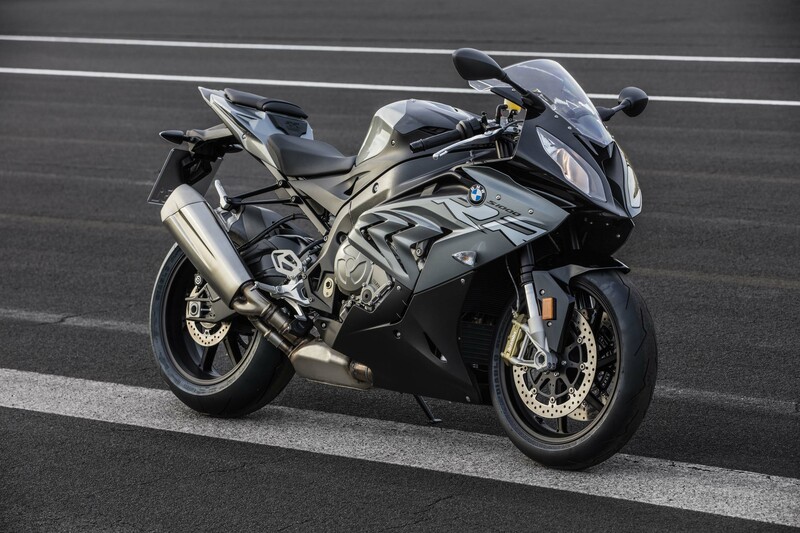 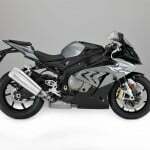 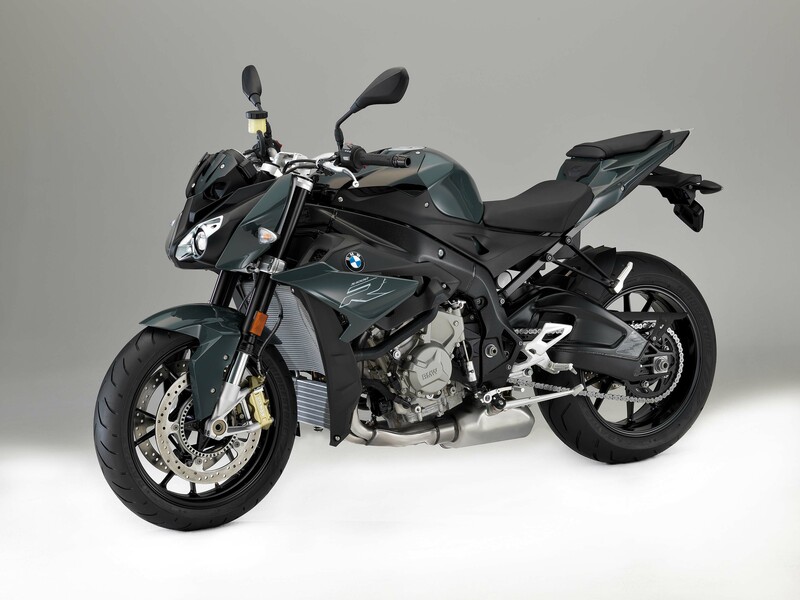 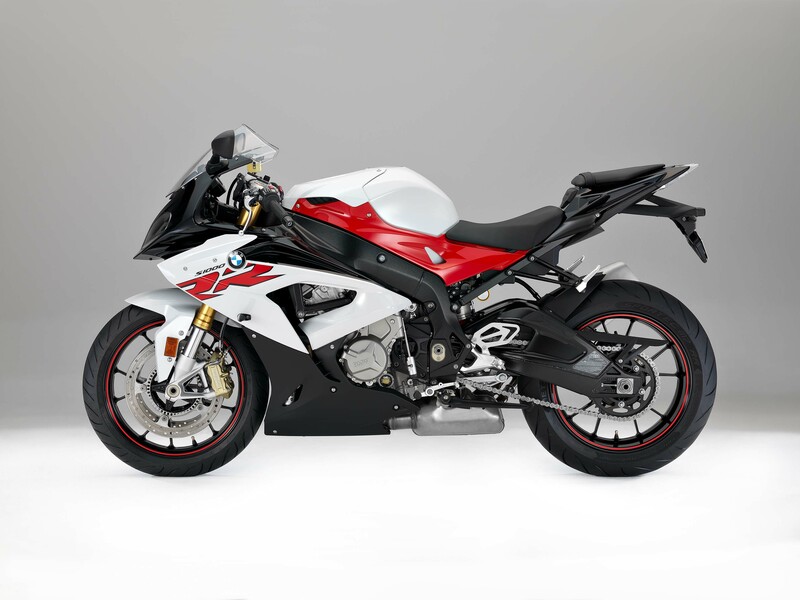 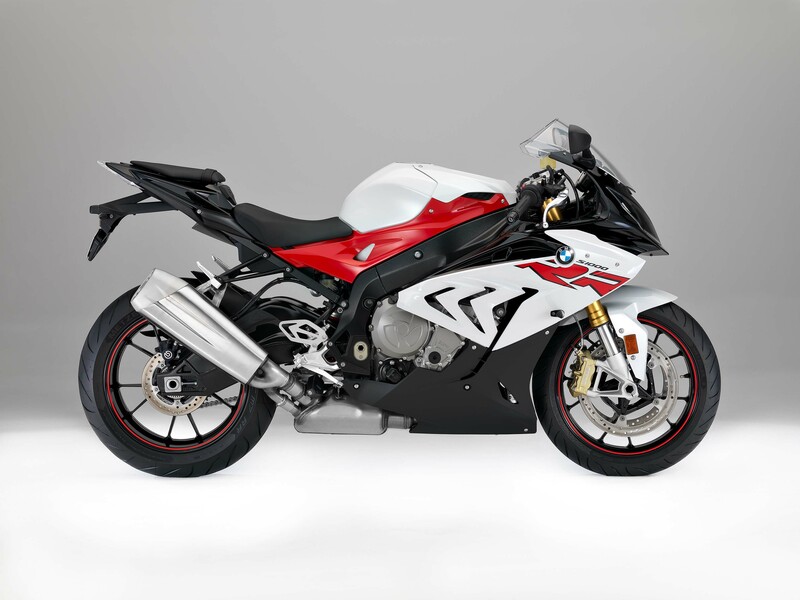 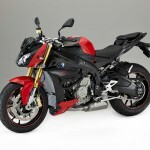 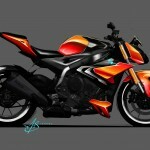 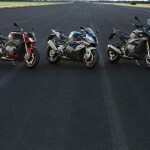 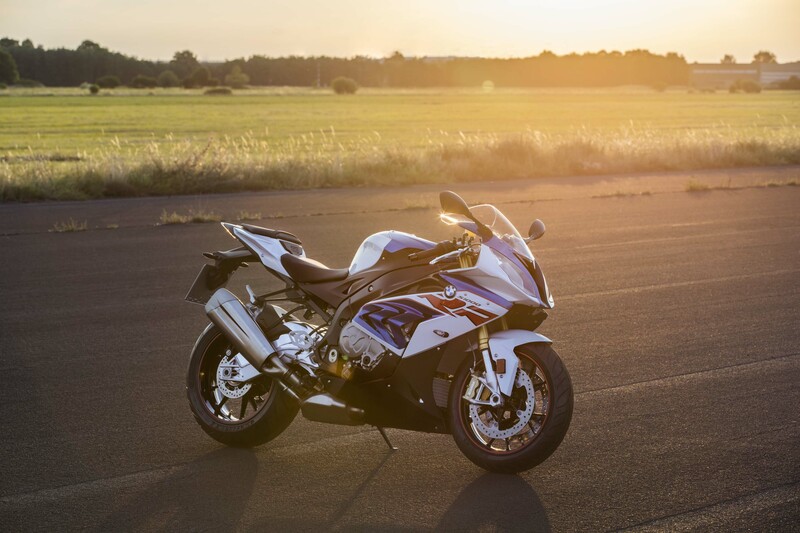 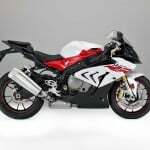 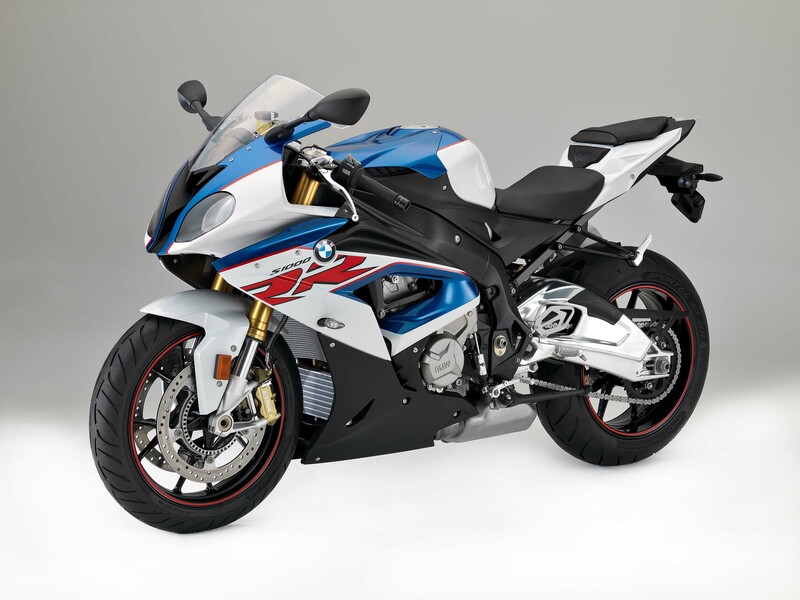 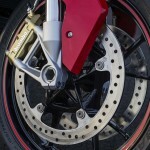 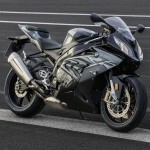 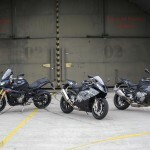 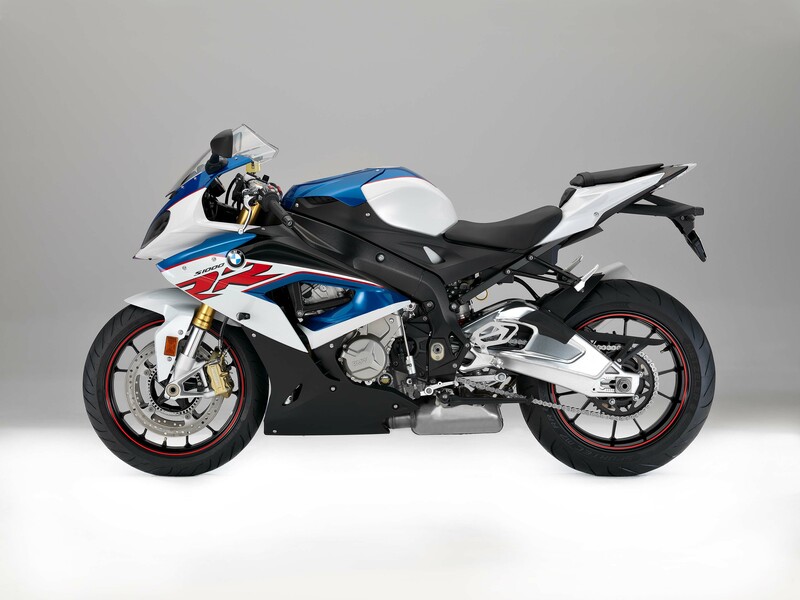 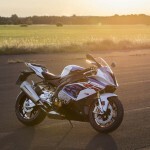 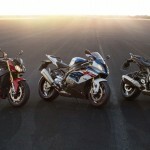 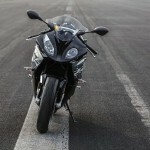 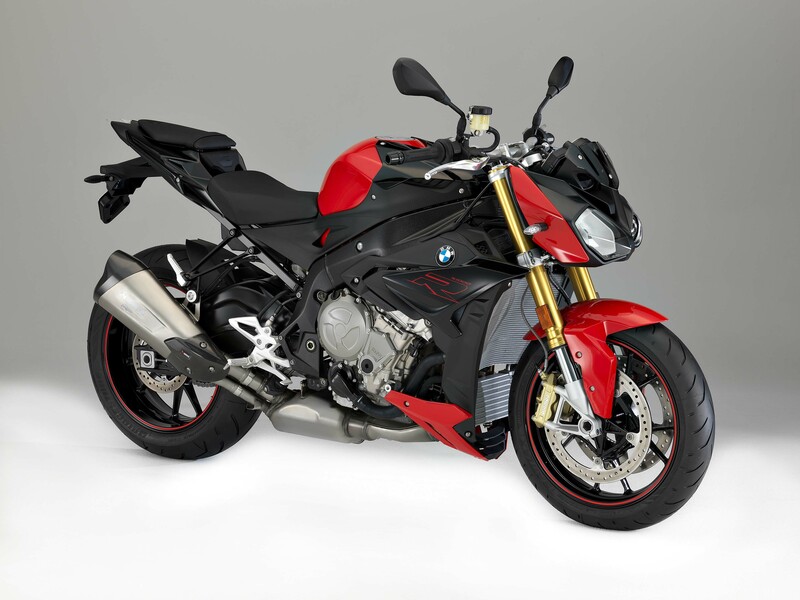 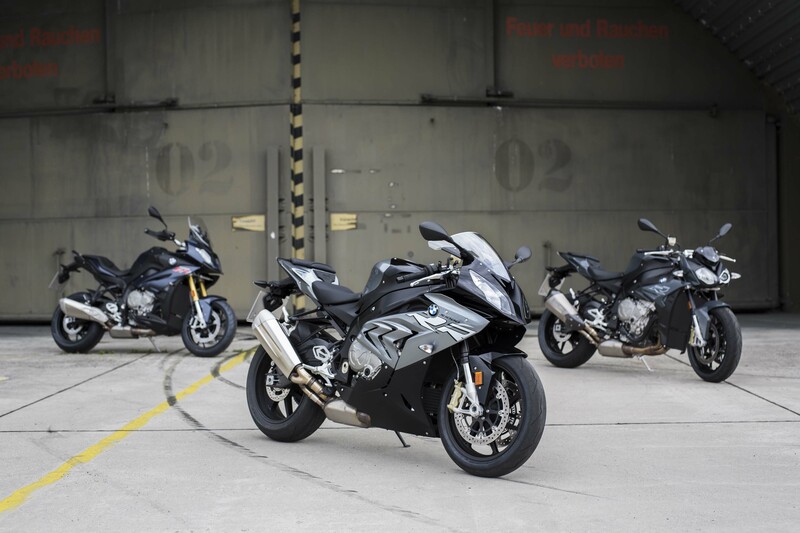 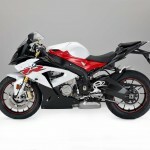 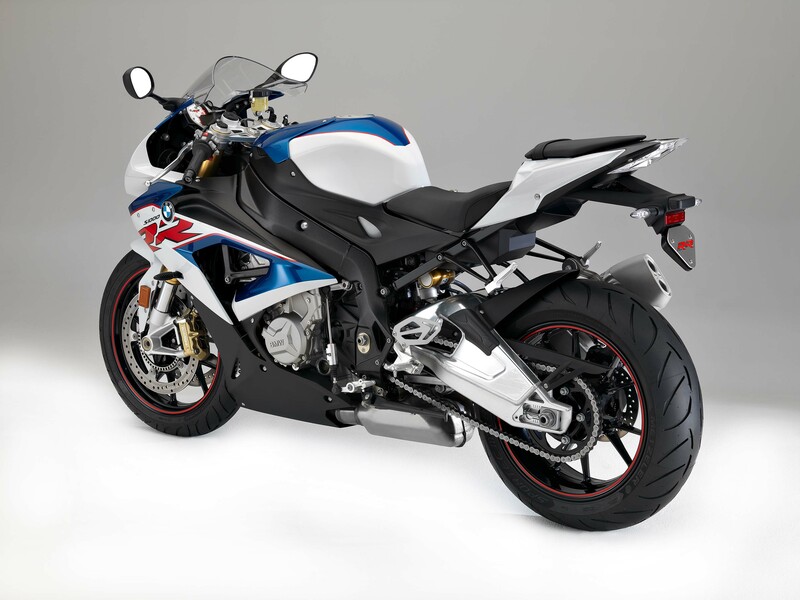 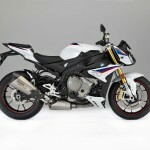 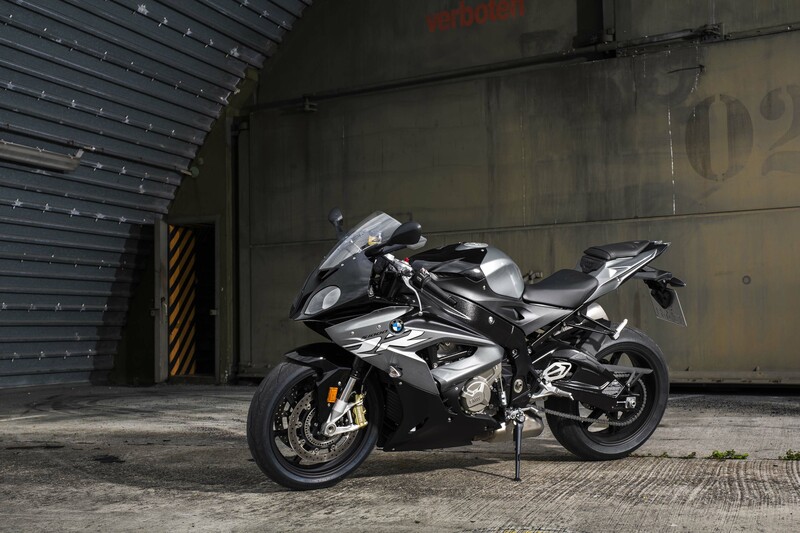 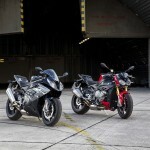 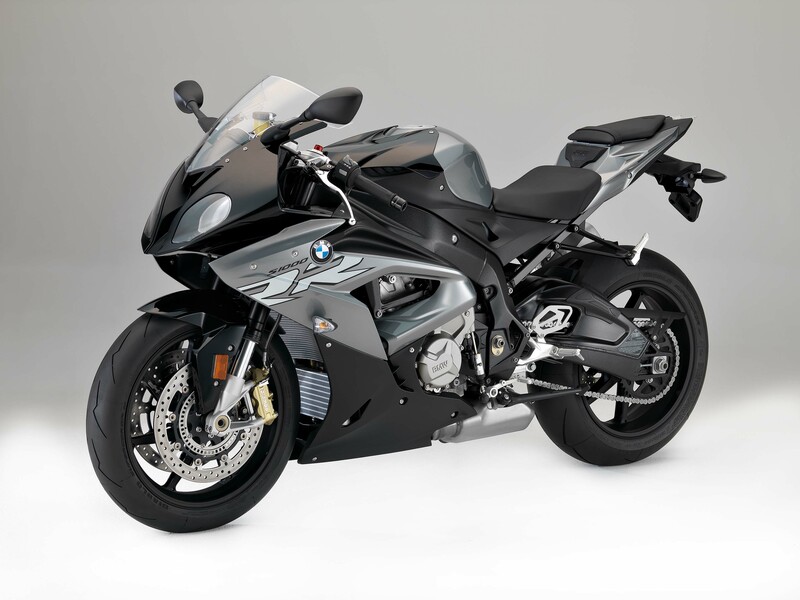 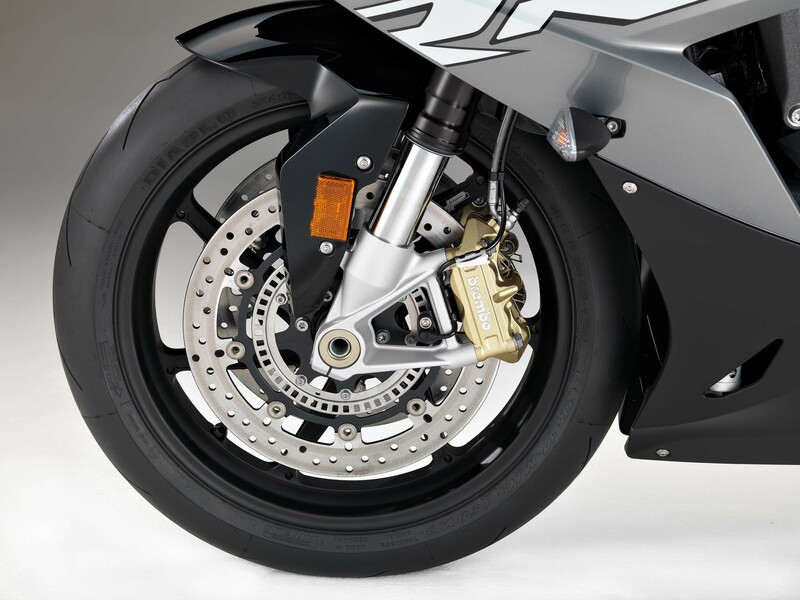 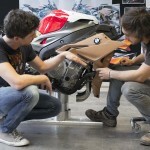 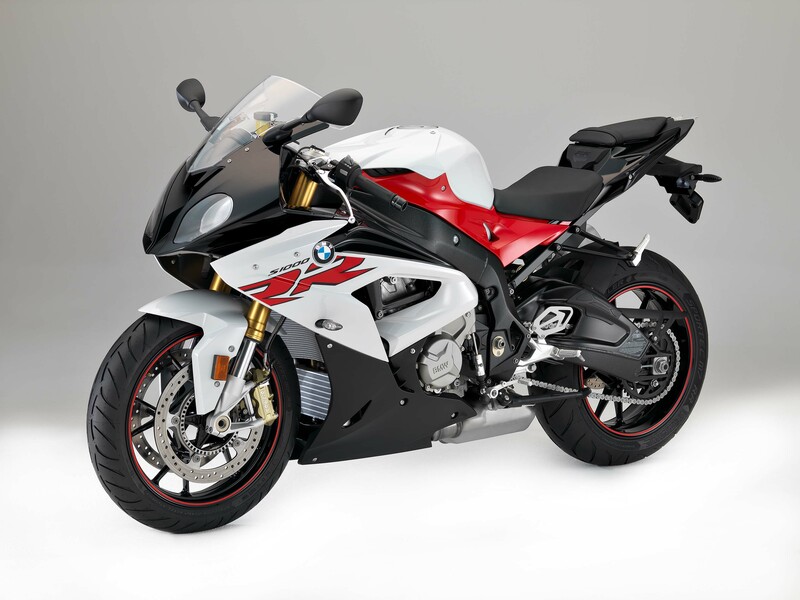 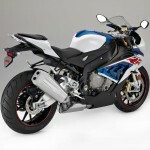 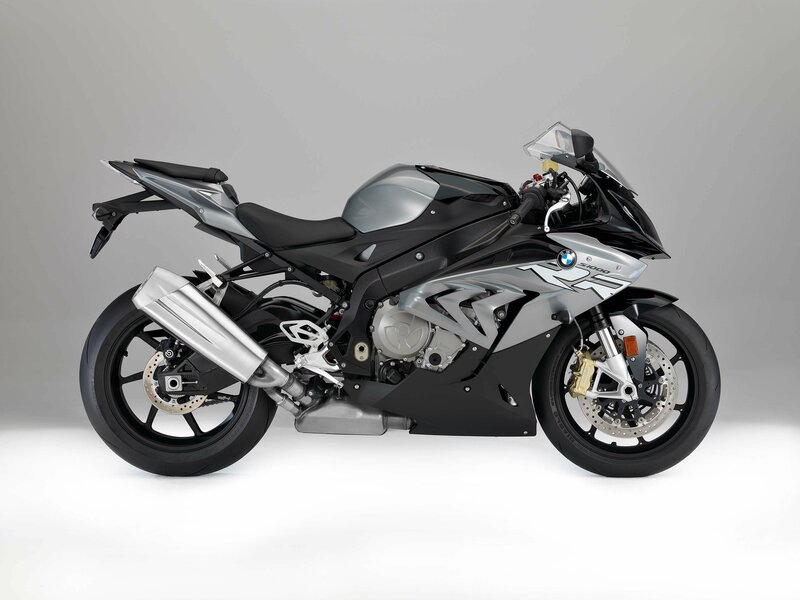 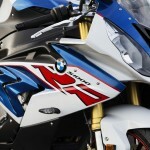 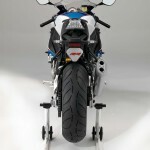 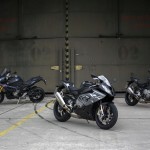 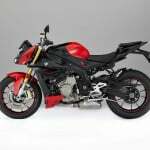 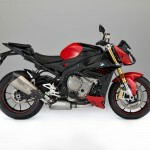 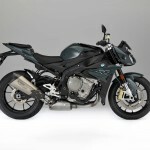 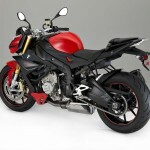 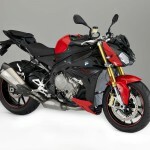 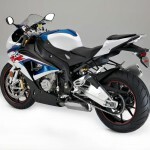 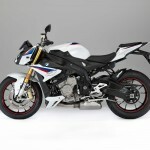 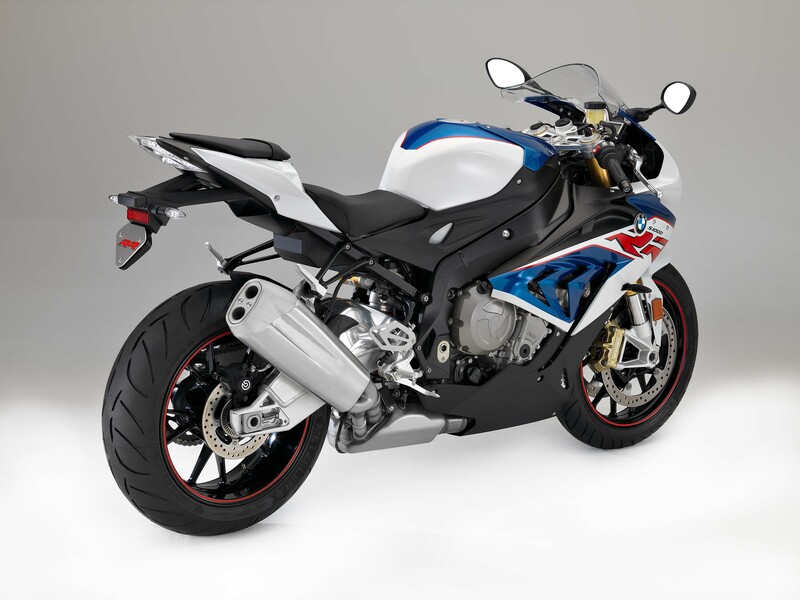 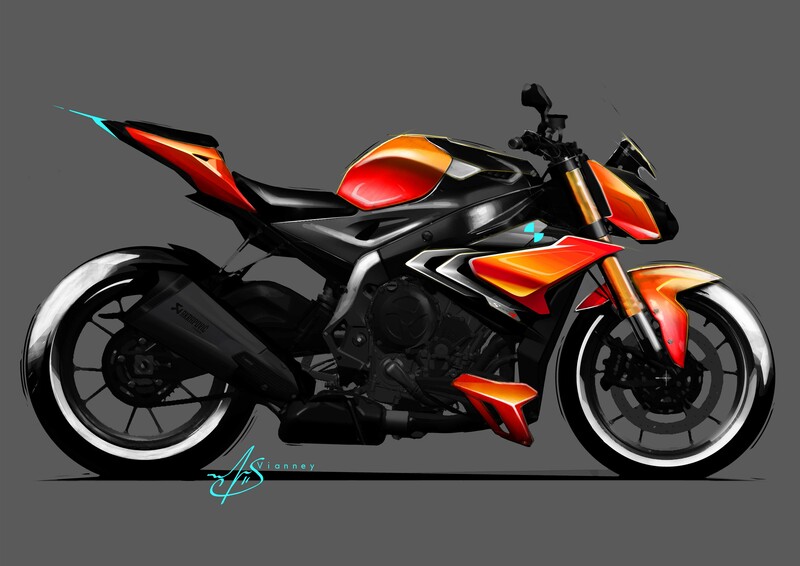 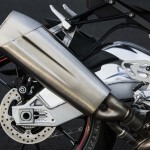 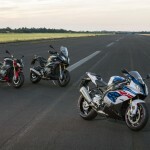 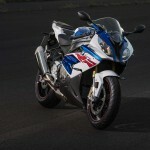 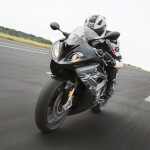 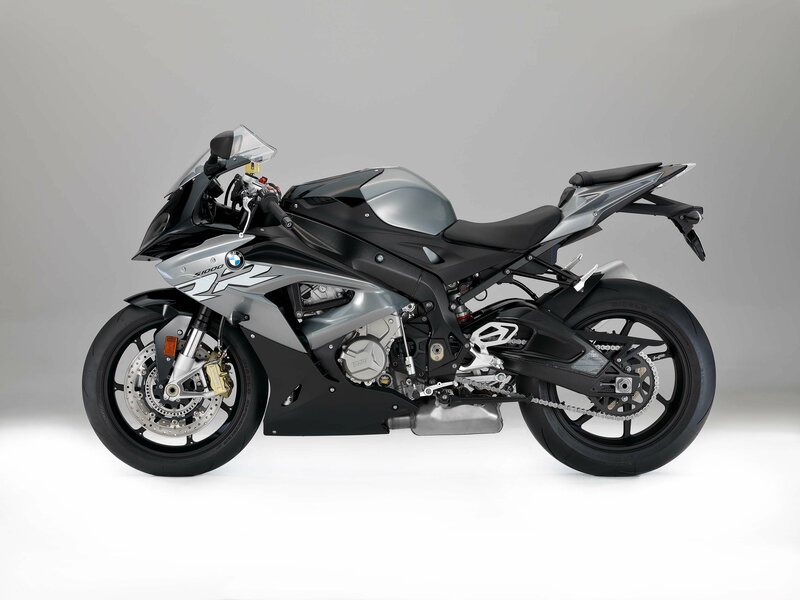 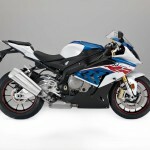 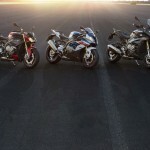 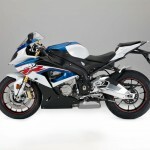 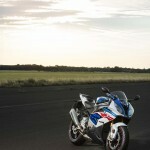 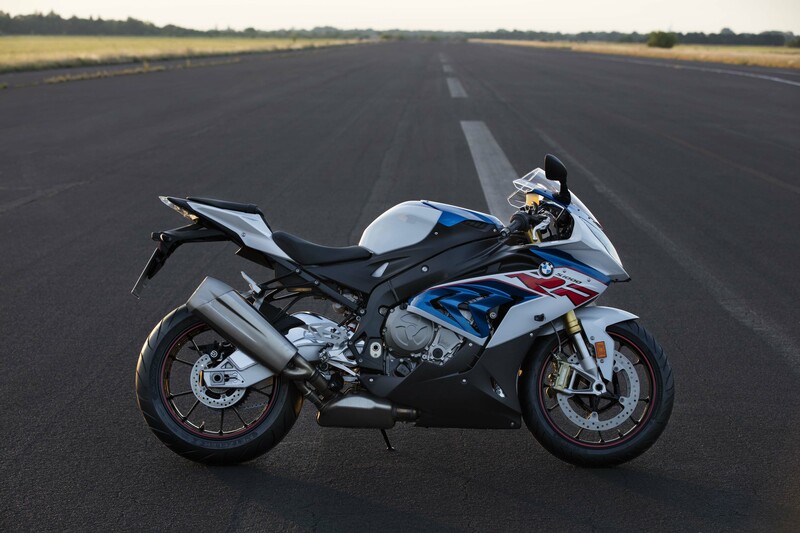 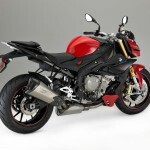 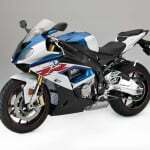 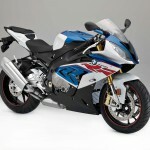 Get price quotes for BMW S1000RR from local motorcycle dealers.